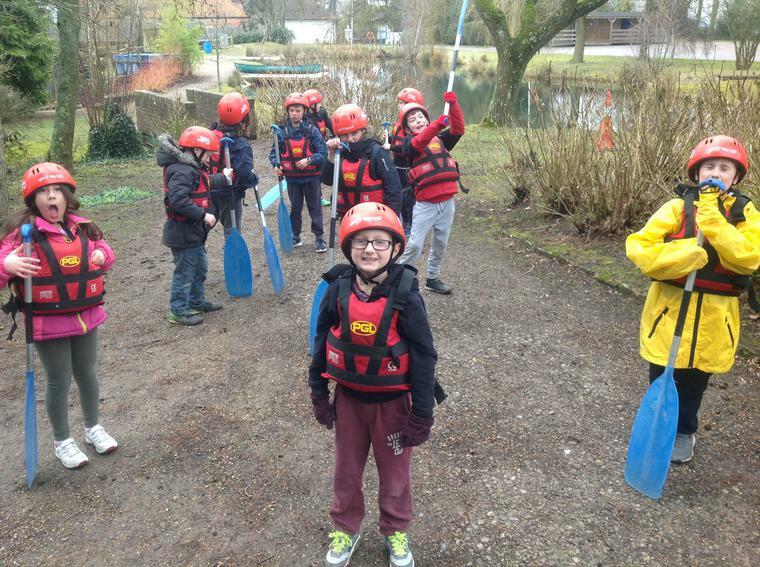 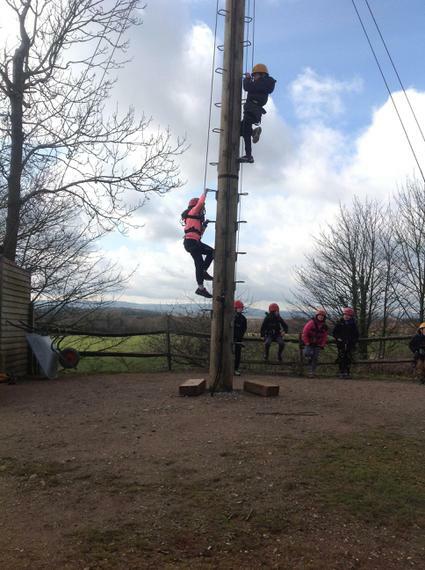 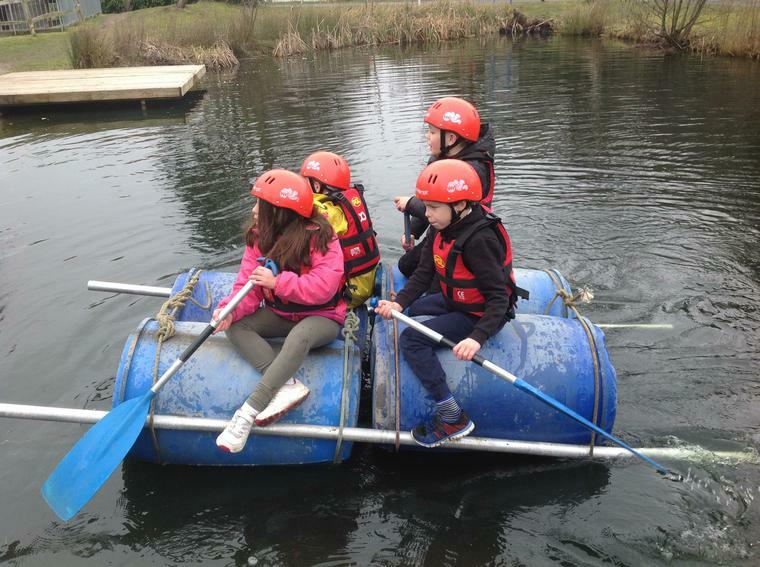 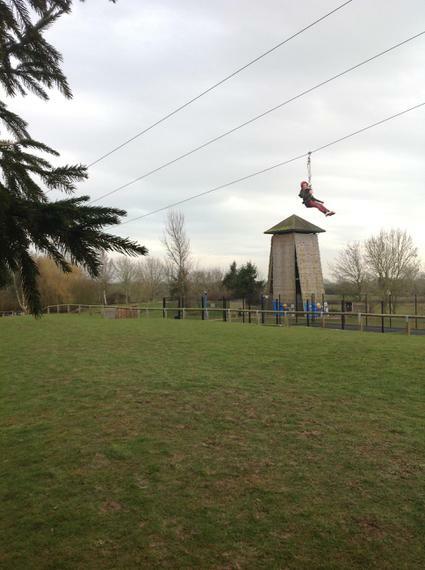 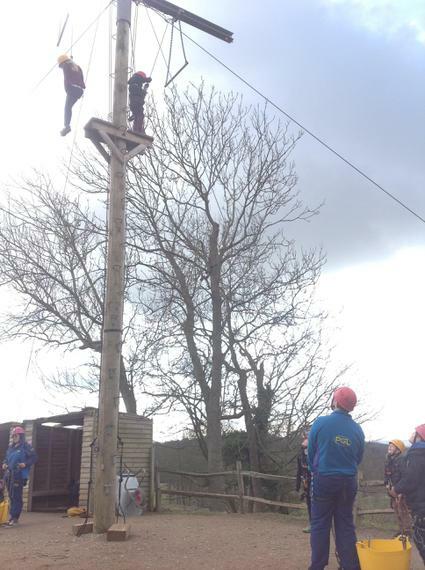 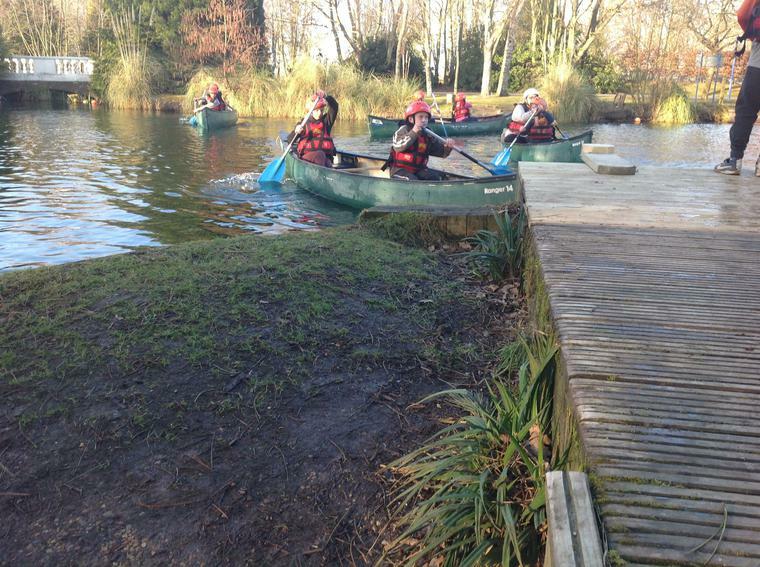 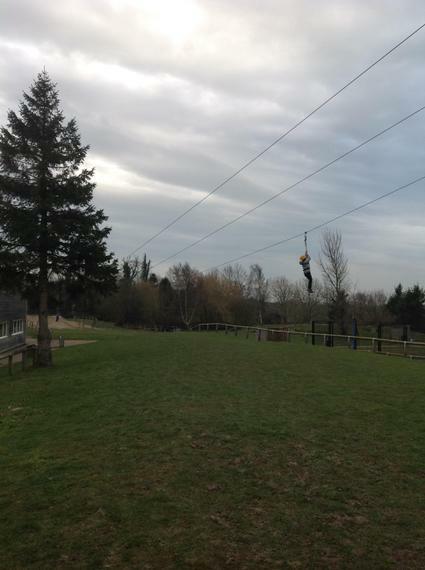 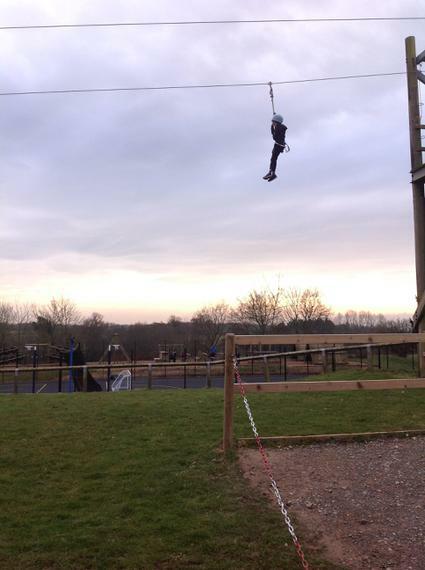 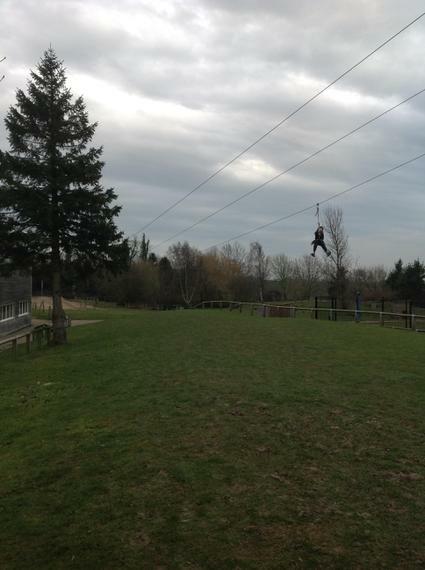 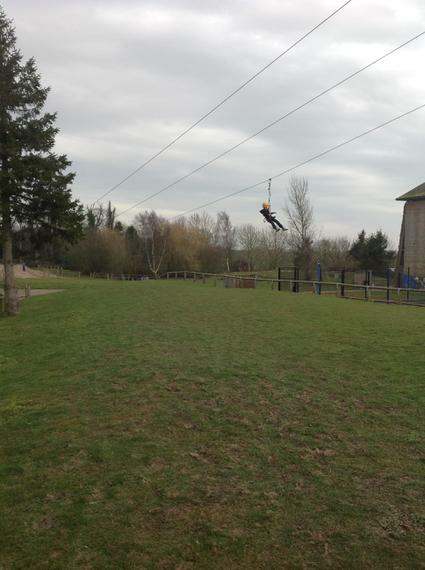 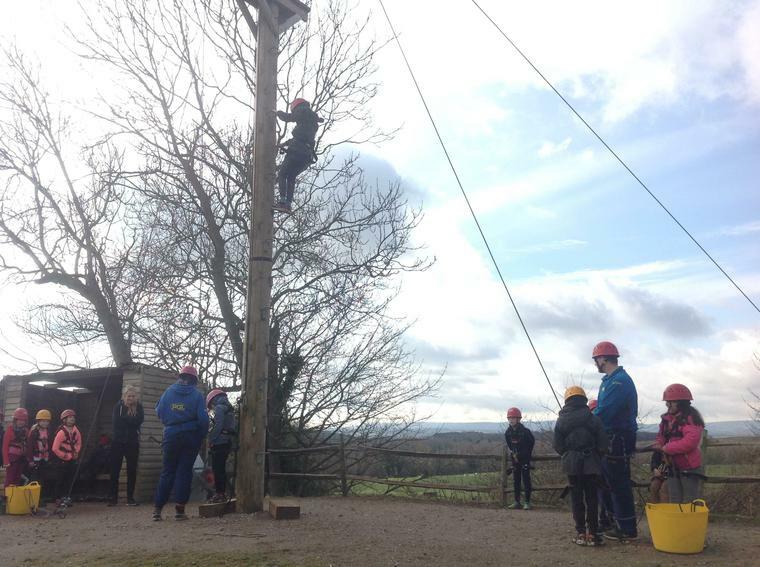 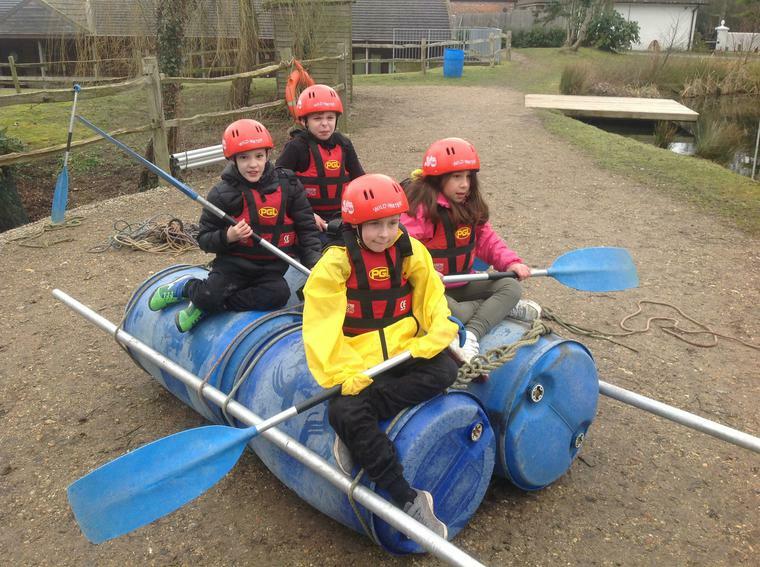 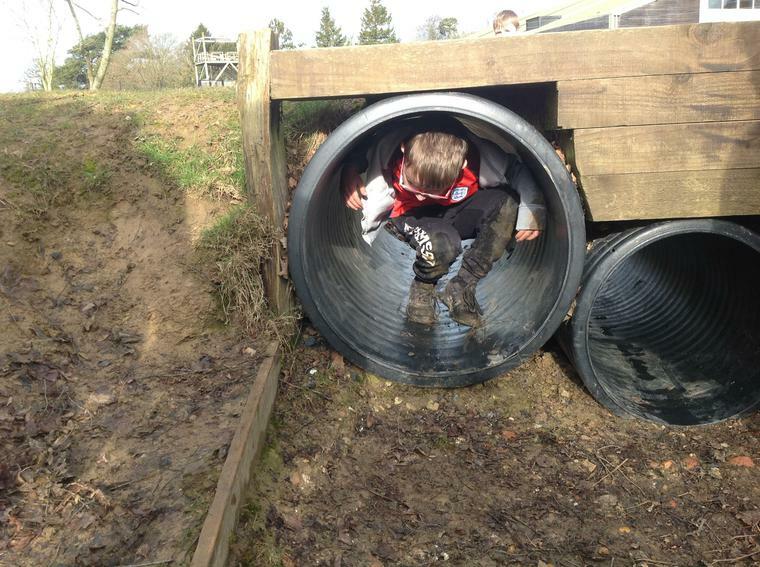 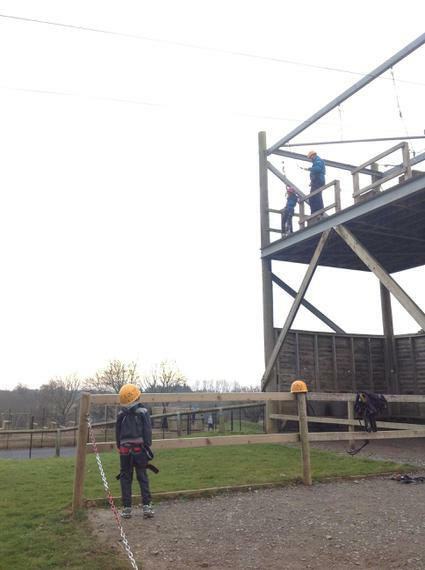 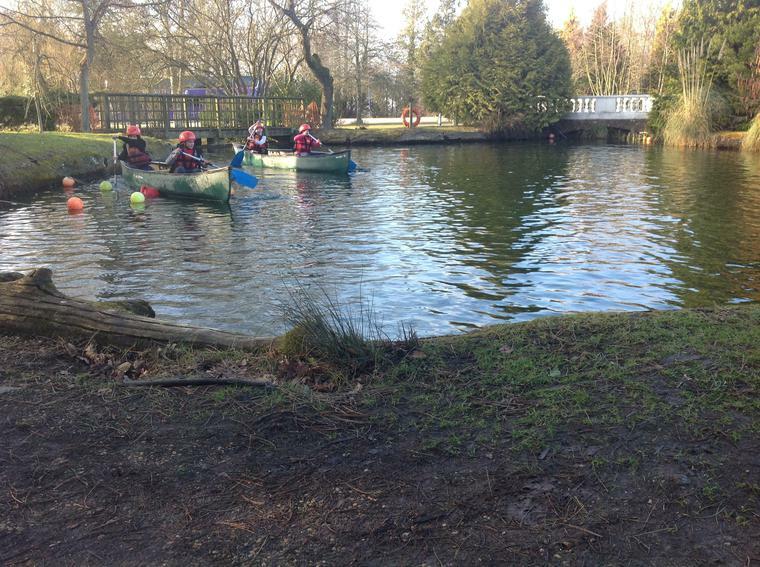 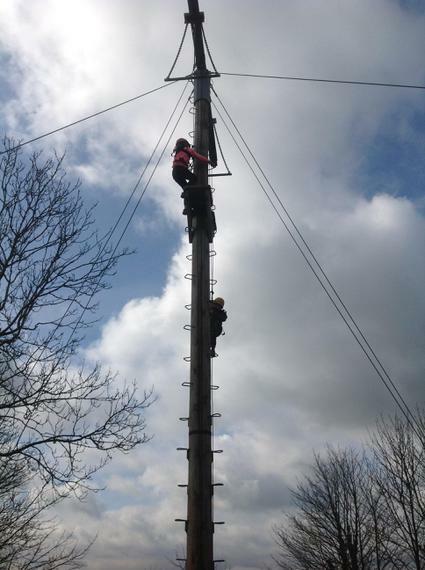 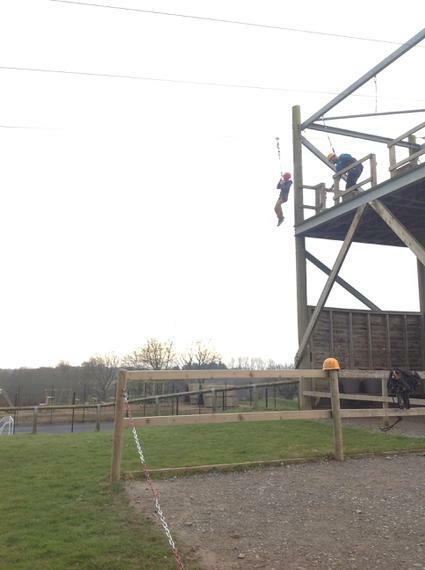 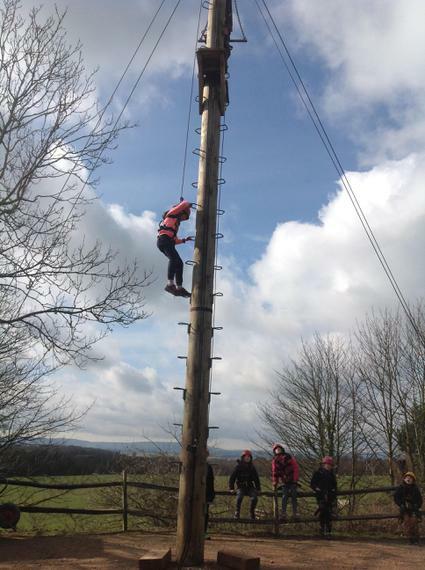 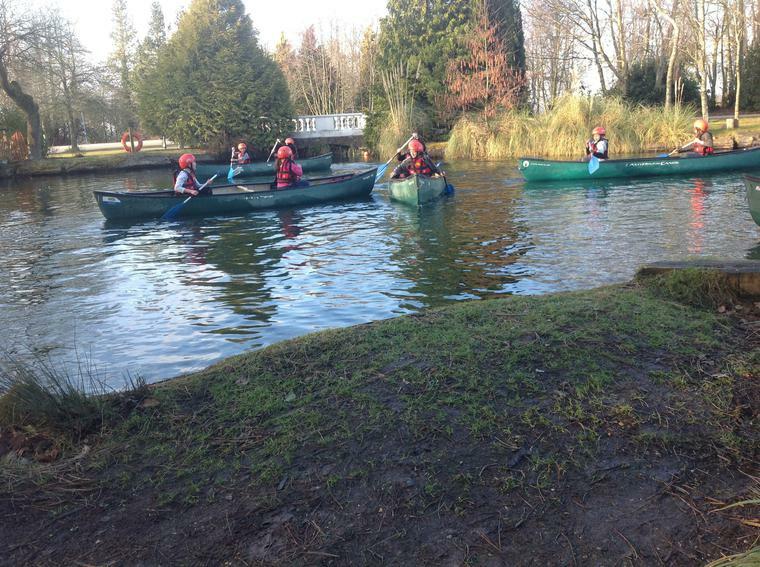 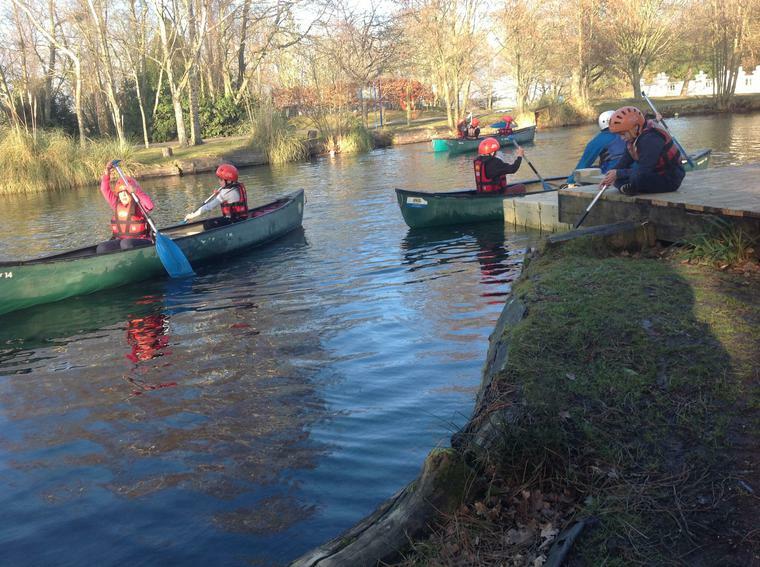 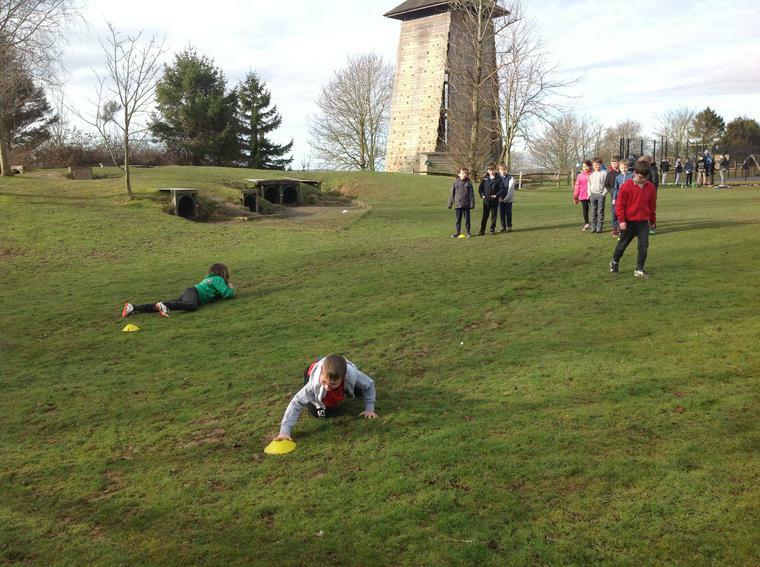 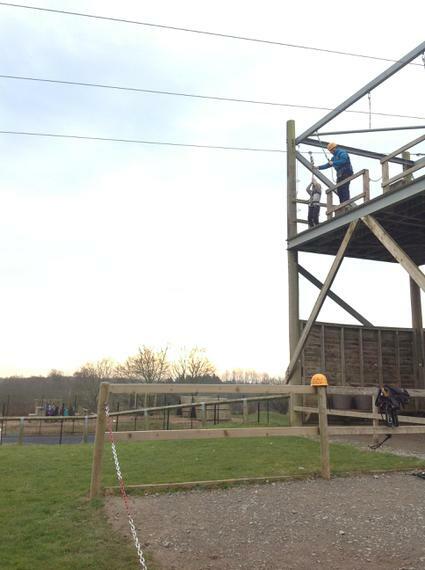 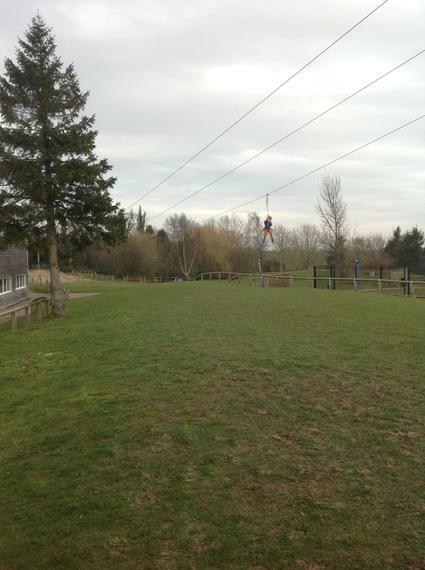 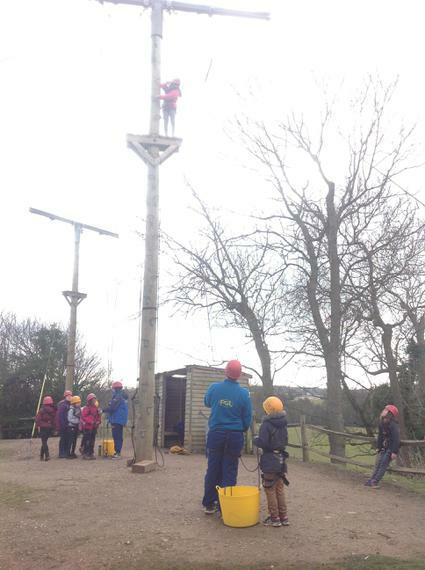 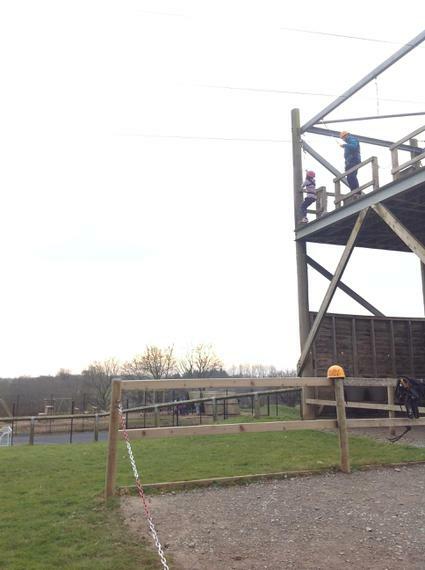 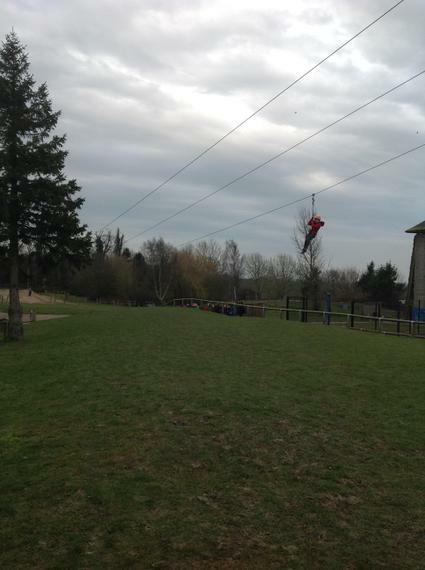 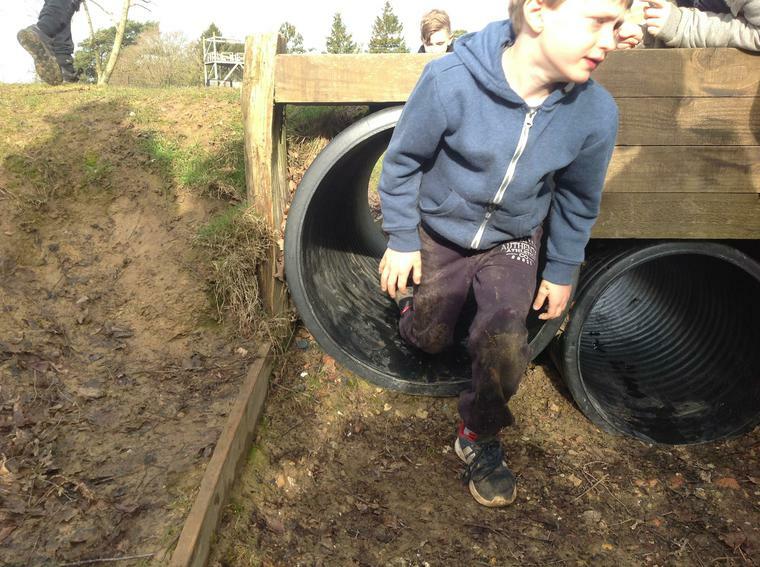 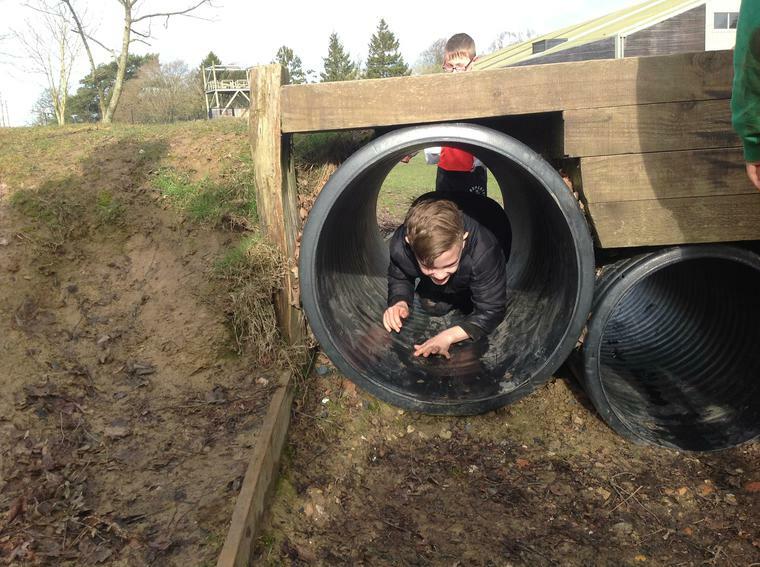 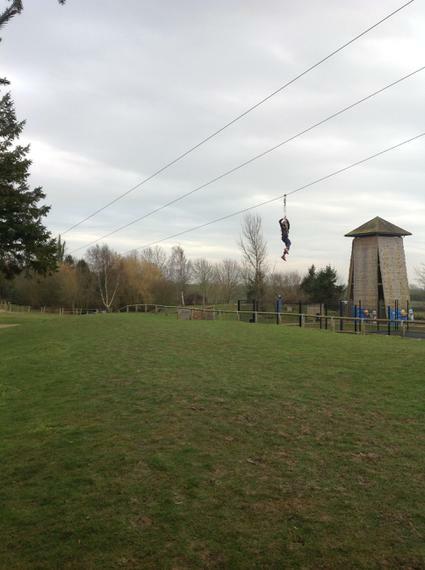 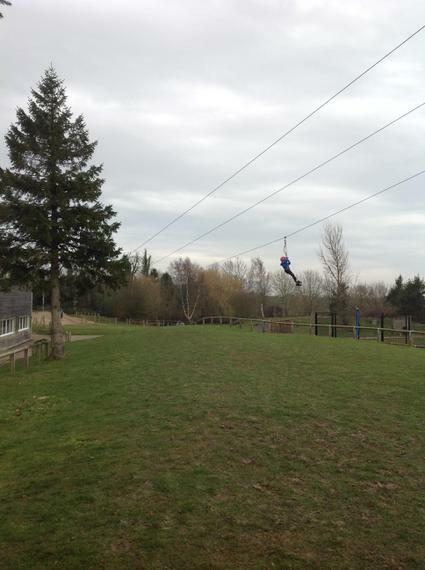 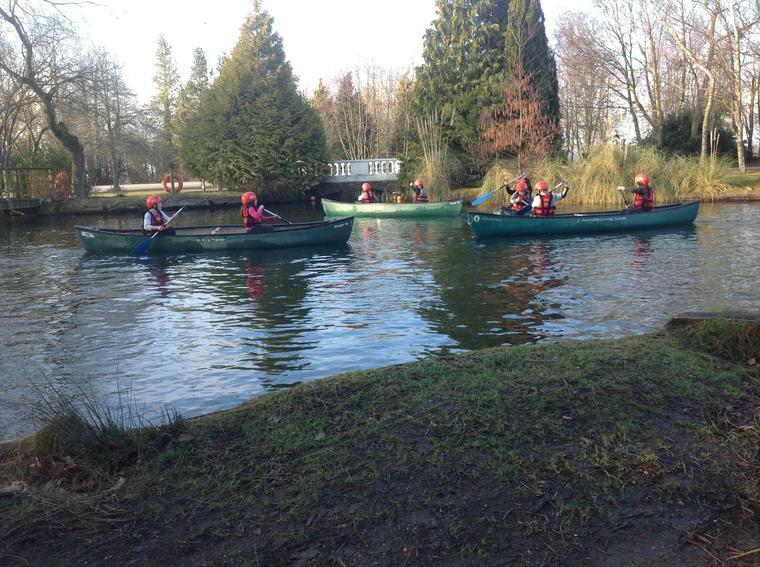 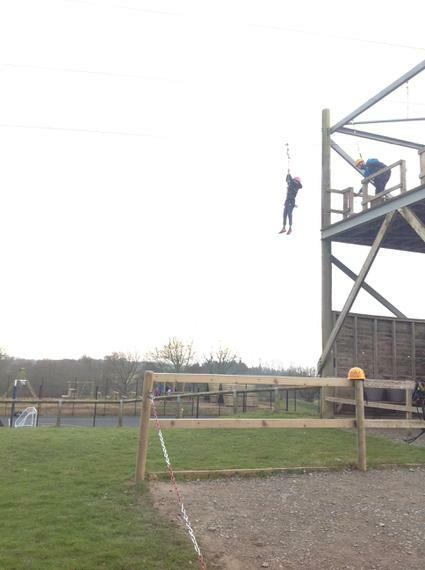 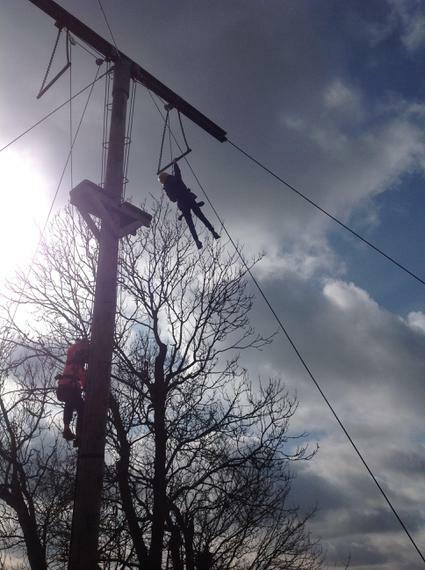 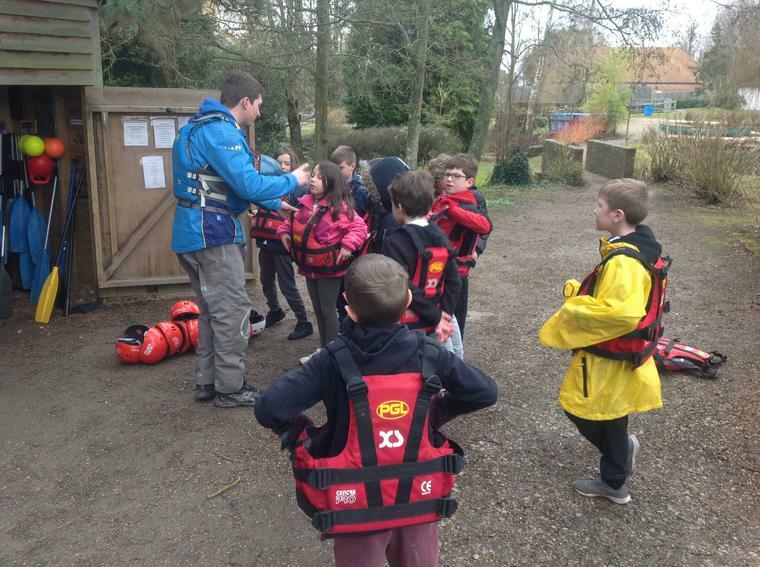 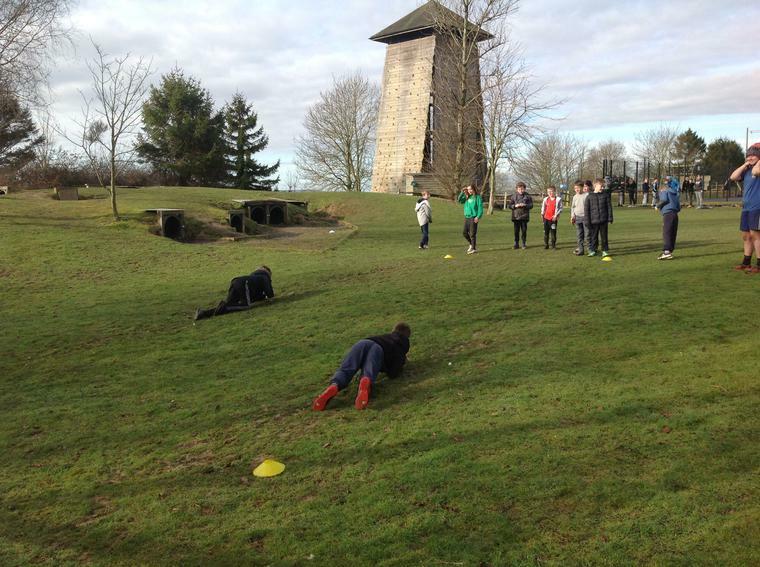 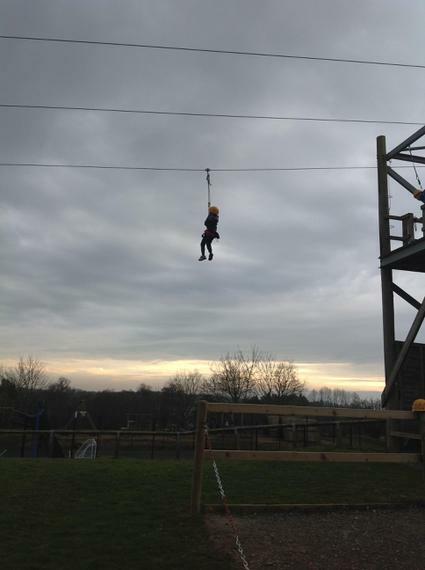 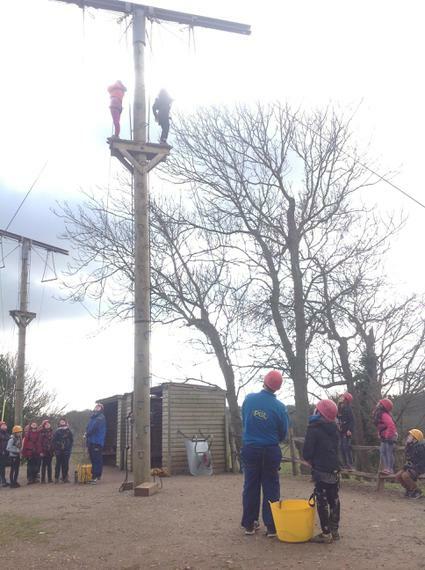 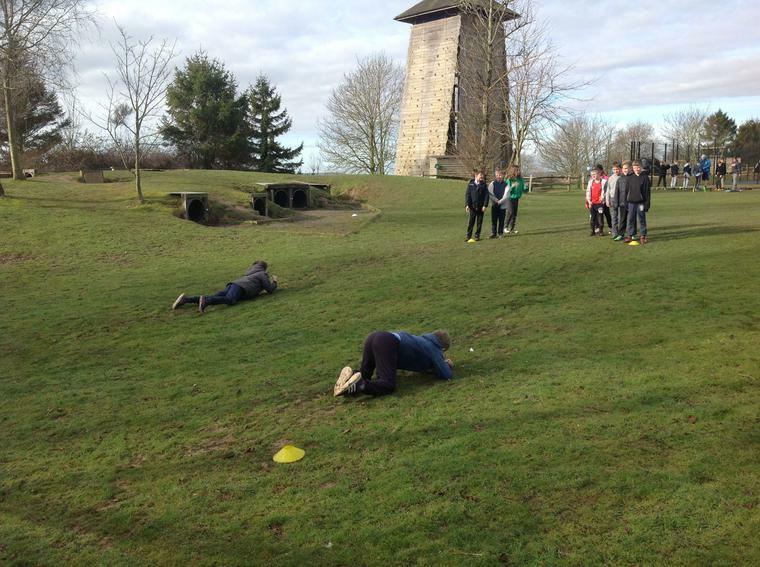 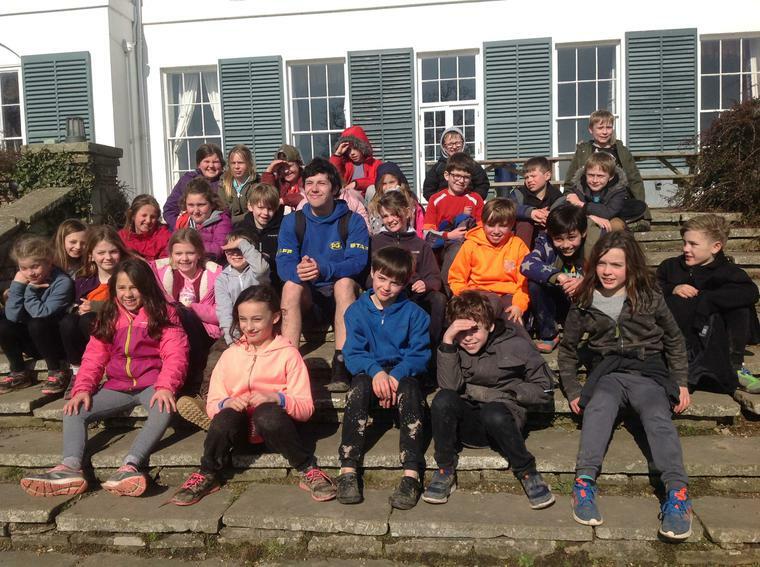 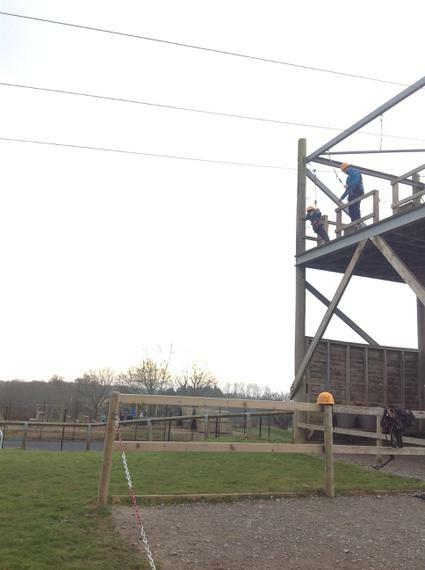 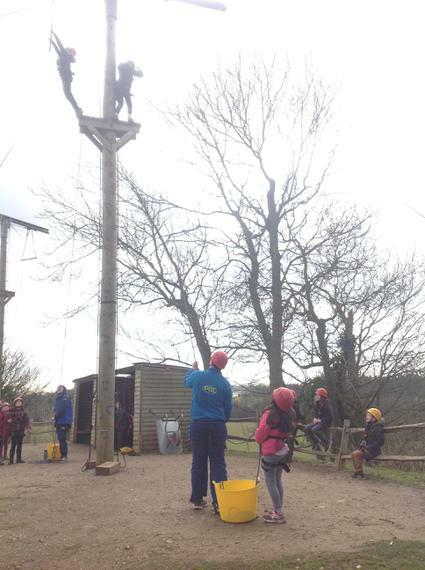 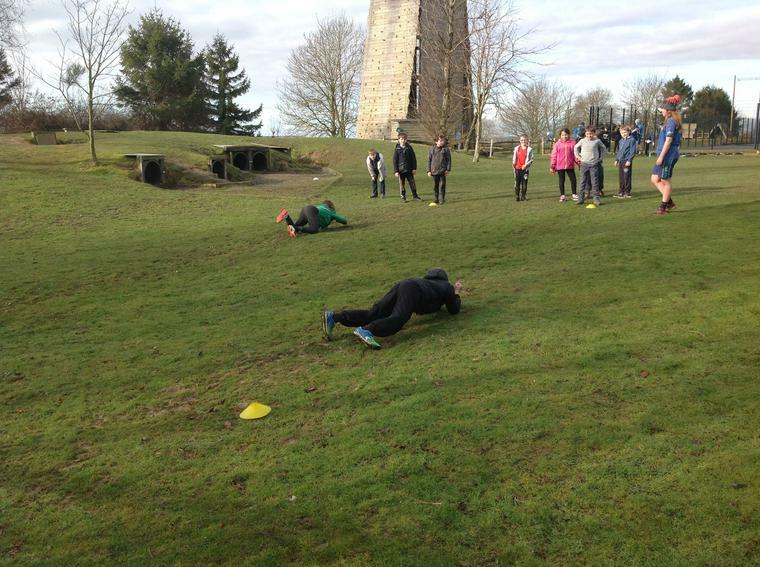 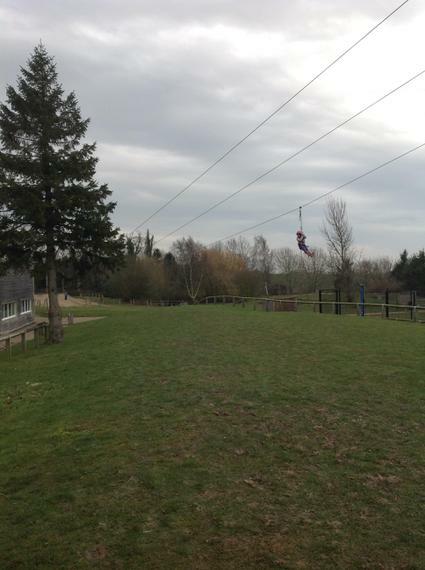 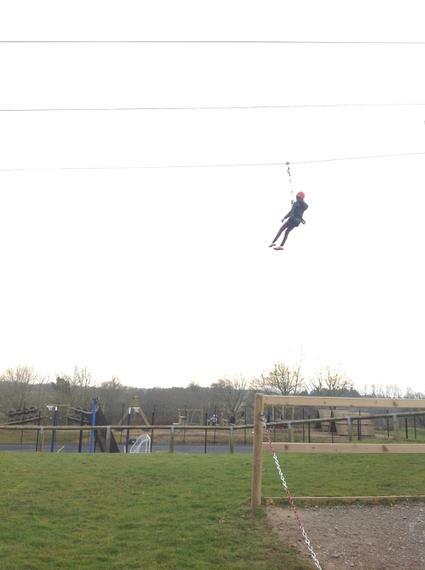 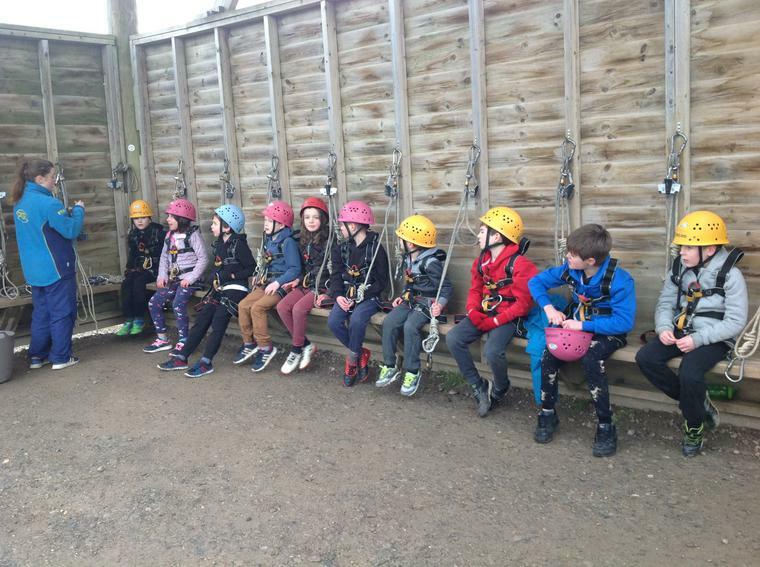 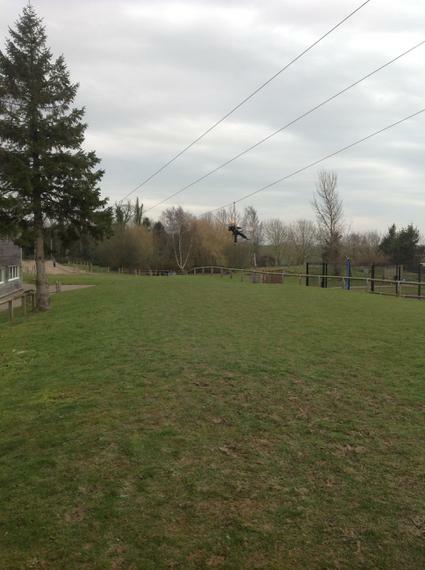 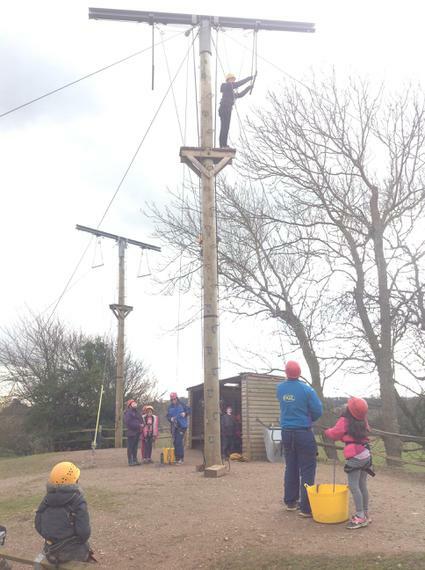 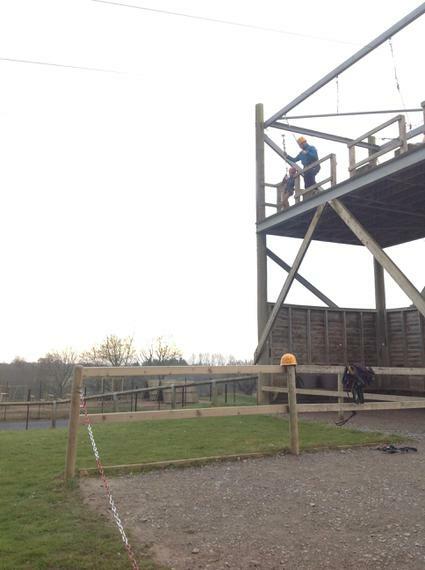 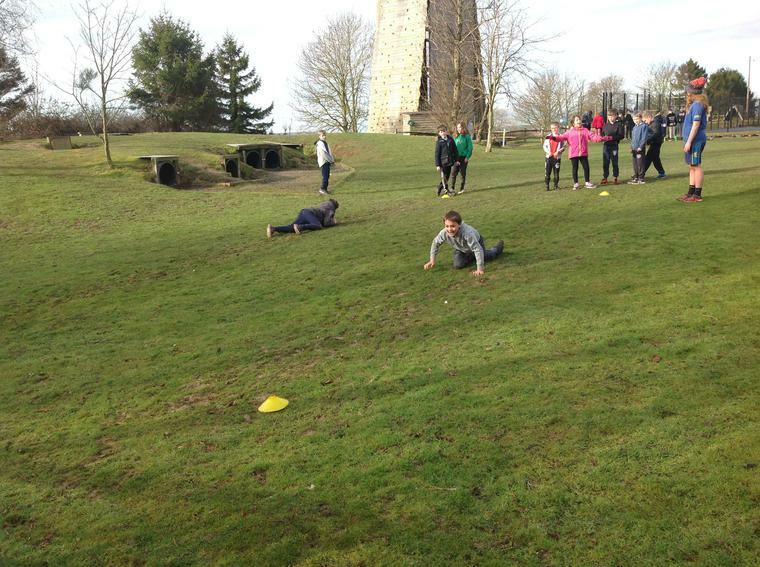 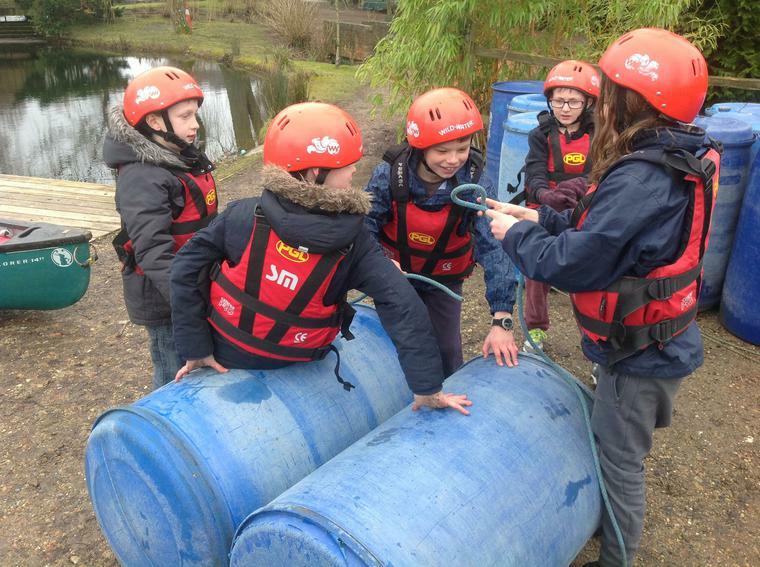 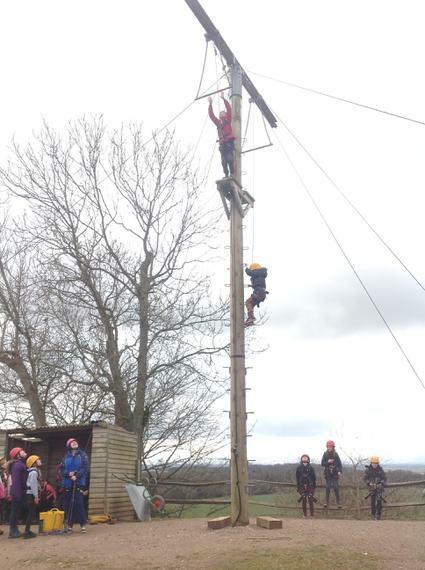 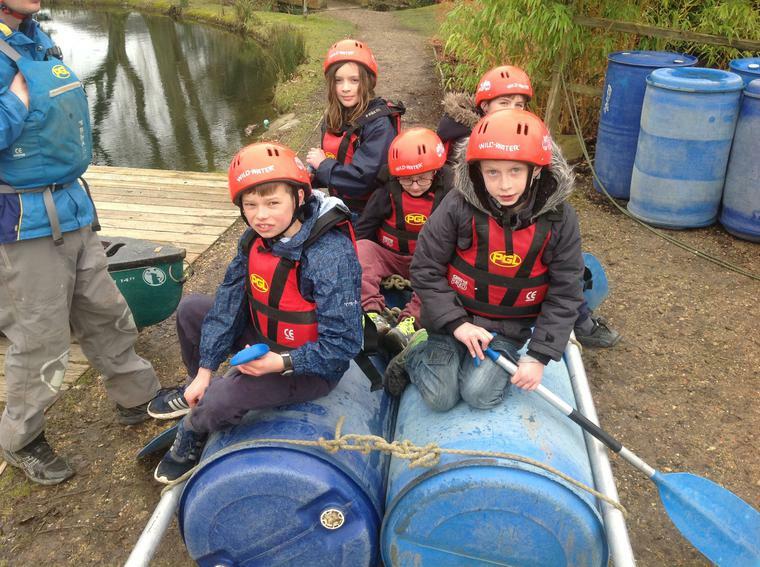 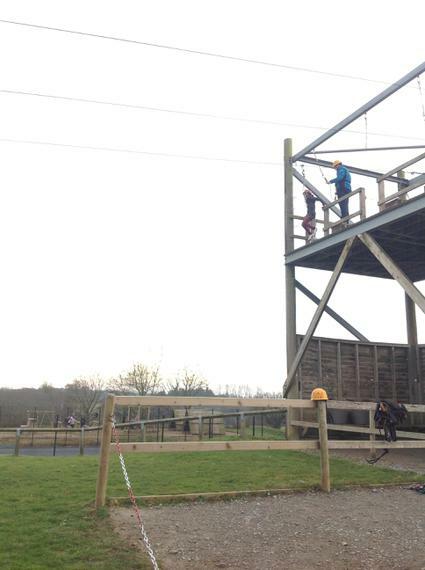 On Monday 5th March the year 4's made their way to Windmill Hill (PGL). 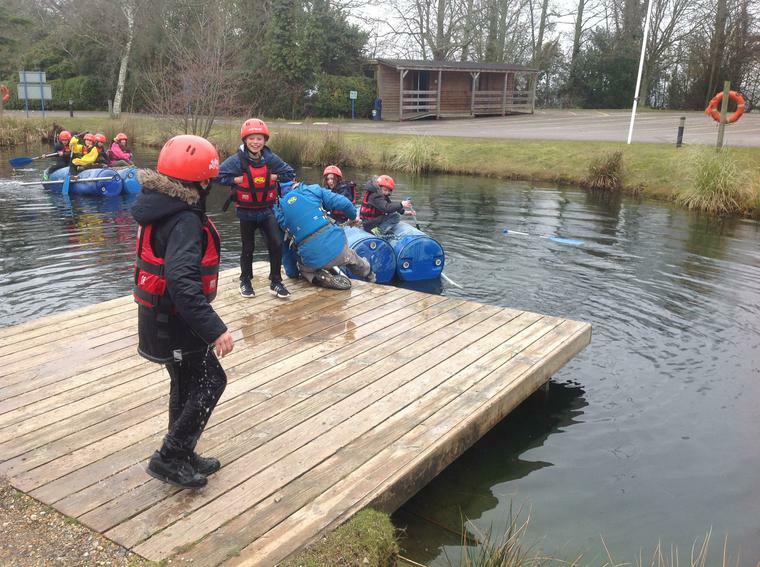 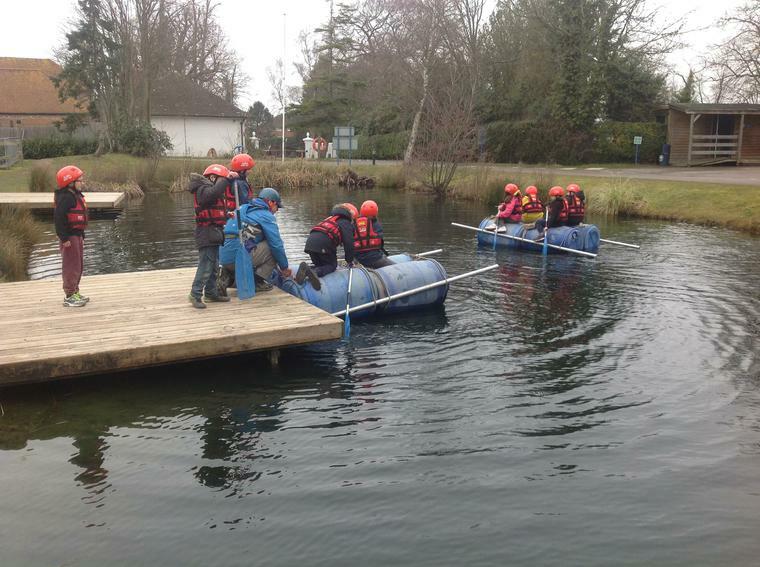 When we arrived at 12.30 we ate our packed lunches and then got stuck straight in with our first activity: Raft Building. 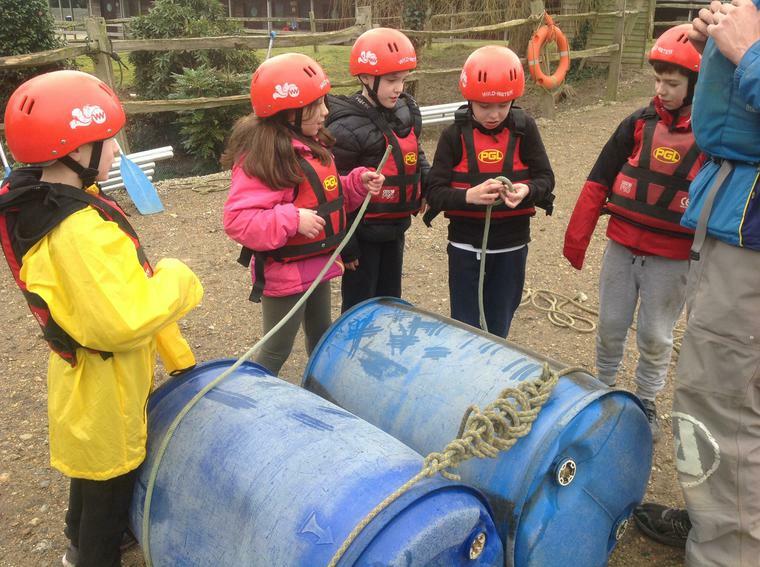 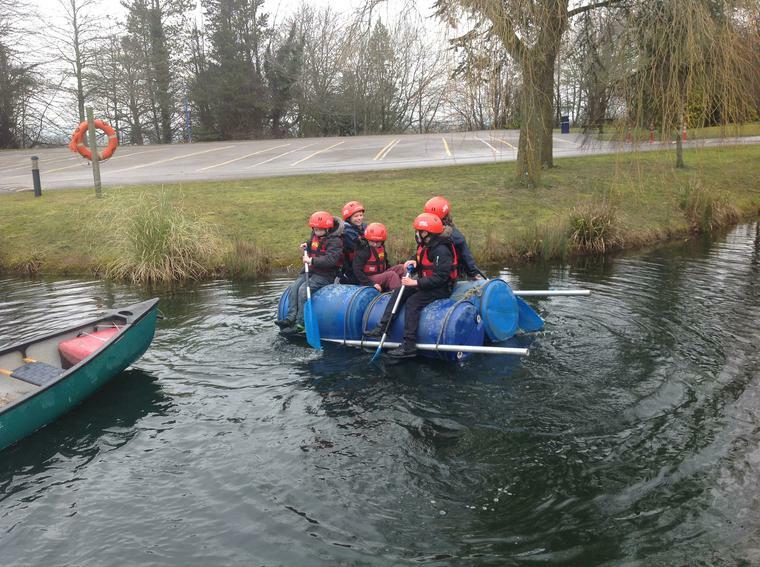 We had two teams and they had to work together to build a raft that they were going to sail on. 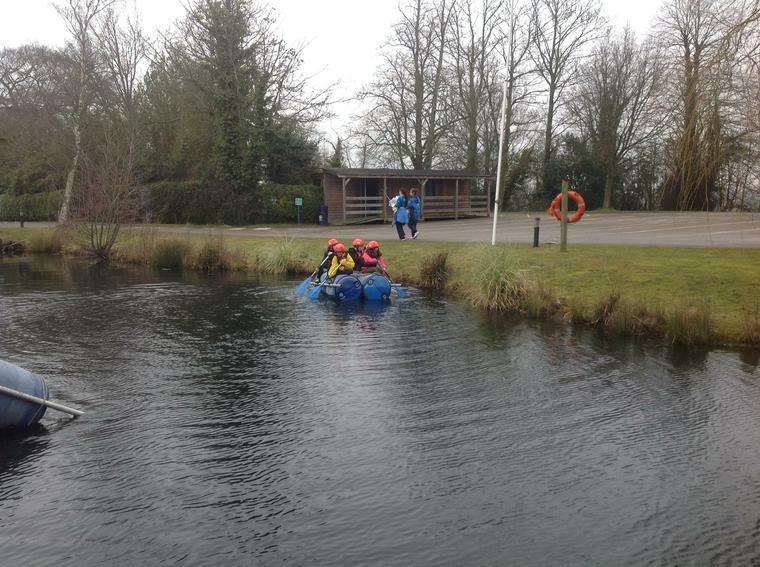 Only a couple of children actually fell in, the rest stayed nice and dry and warm! 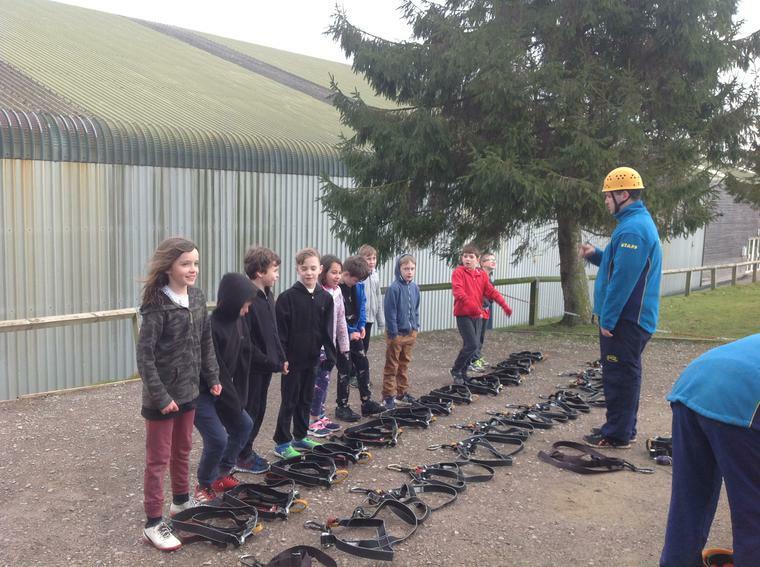 Afterwards we went straight over to the zip-line where the children got kitted up in harnesses and helmets before zooming down the zip-wire. 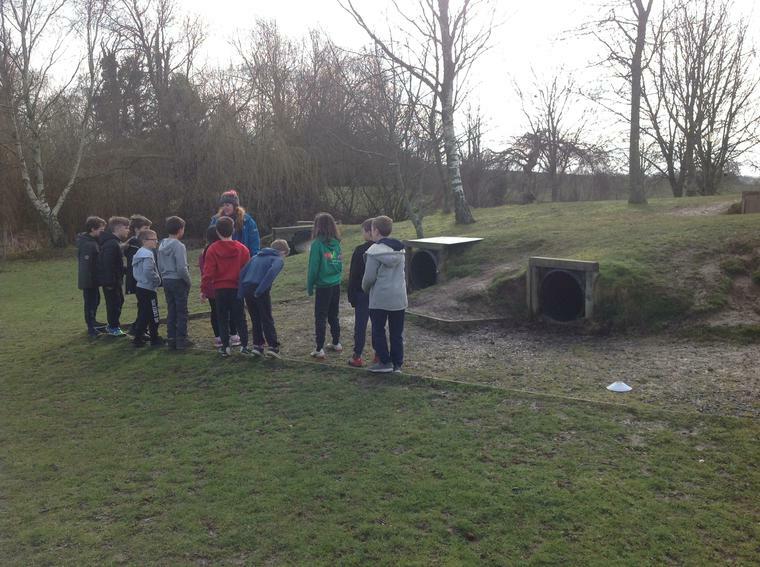 After our dinner our evening activity was a game called Ambush, where our whole group was split into two teams. 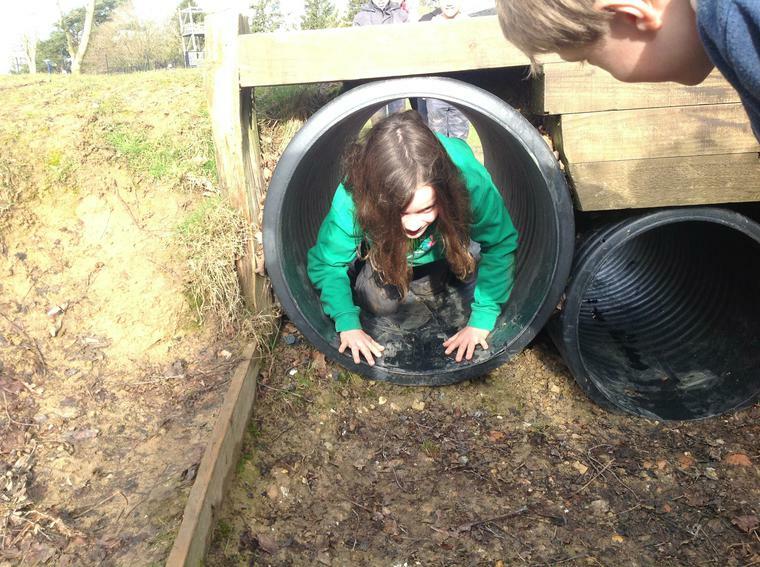 It was like a really big game of hide and seek, except we had to stay together and work as a team! 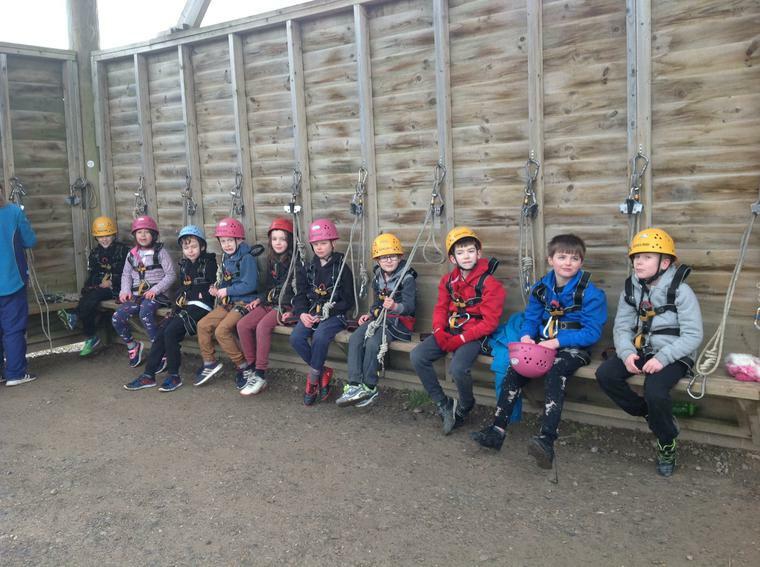 On Tuesday we woke up nice early to have our breakfast before heading over to our first activity of the day, which was Tunnel Trails. 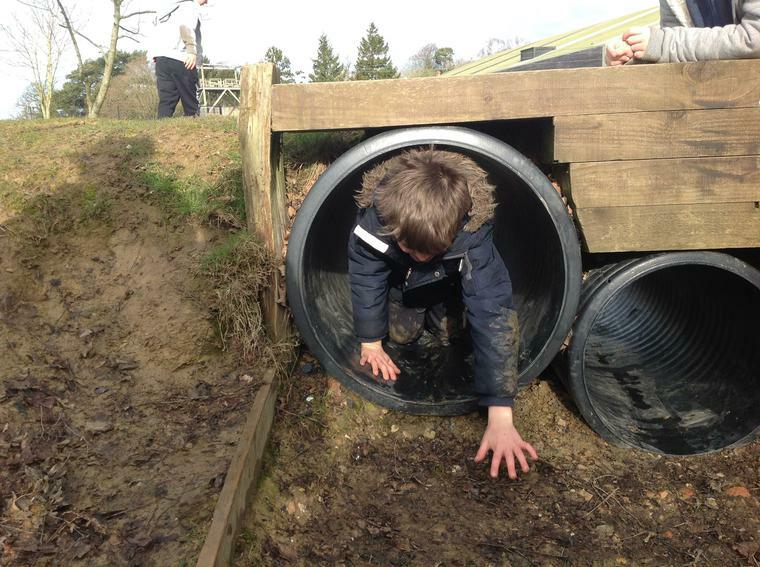 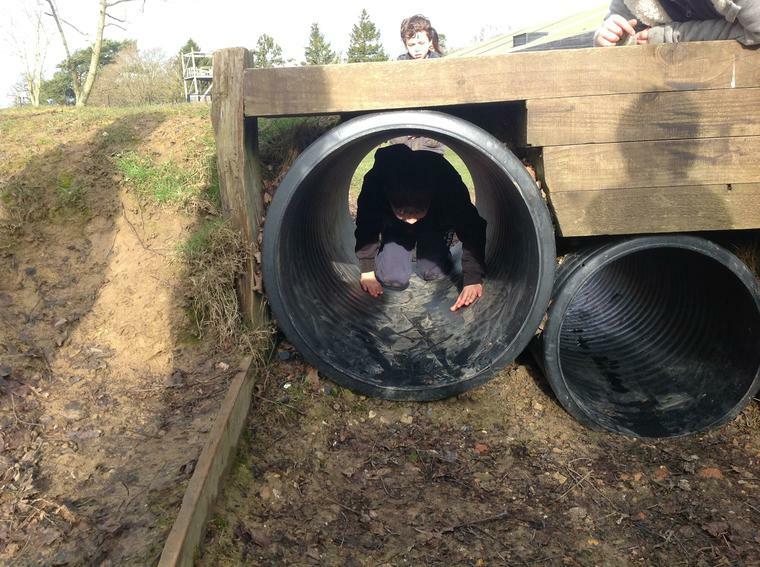 This involved the children working together in pairs, getting very wet and muddy, and crawling through a maze of connecting tunnels whilst playing various games like Zombies. 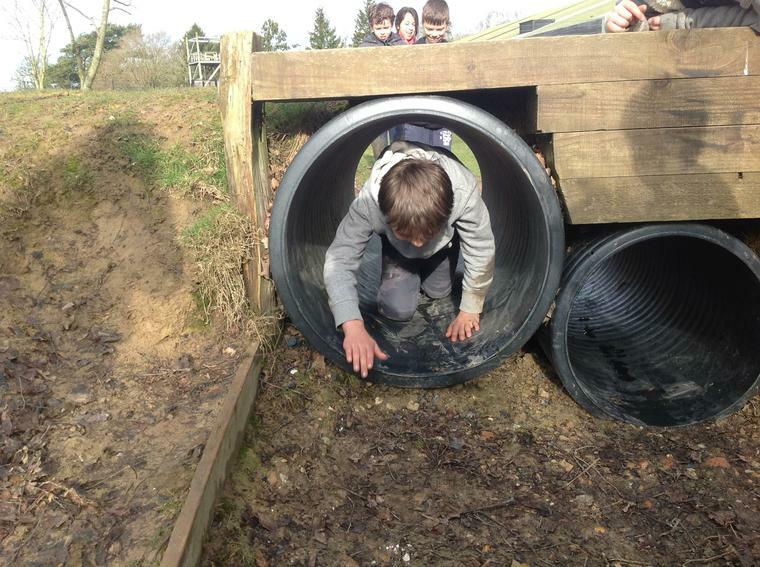 (Luckily nobody got stuck!) 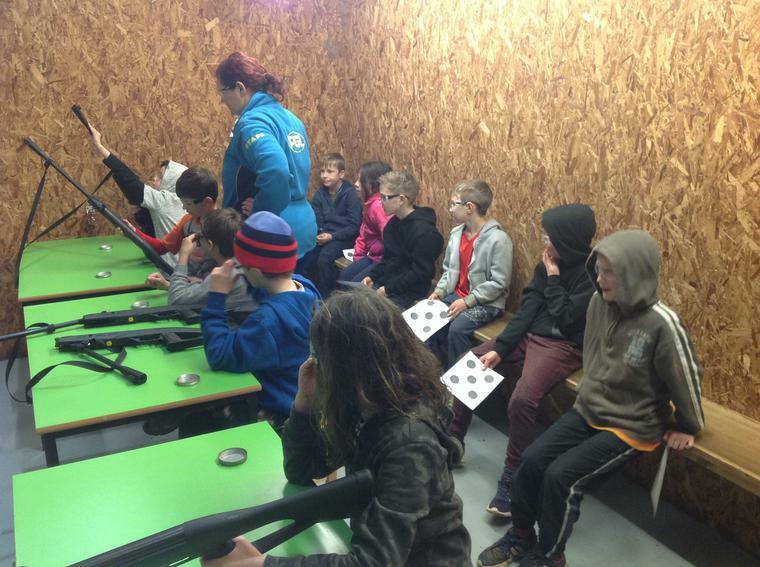 Our second activity of the day was Air Rifle Shooting where we were taught how to load an Air Rifle, as well as how to aim and shoot. 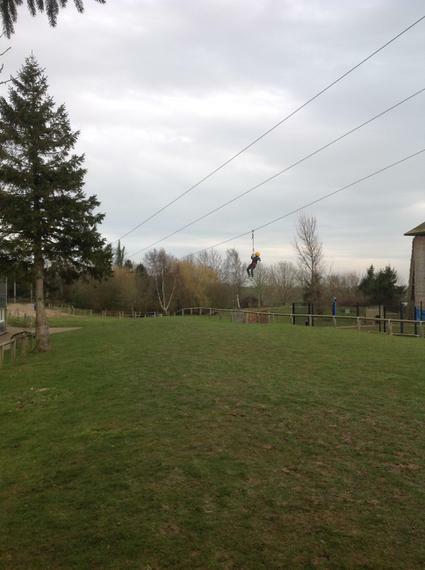 This was very noisy, and made me jump more than the children - but everyone enjoyed it! 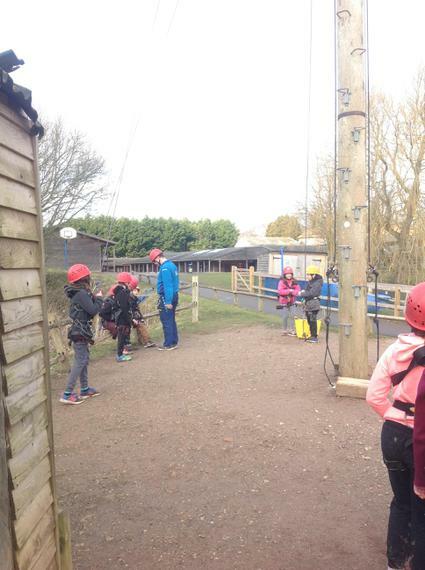 We then had a lunch break in the canteen and then some time to play games in the sports hall like Chaos Tag before we began the afternoon session. 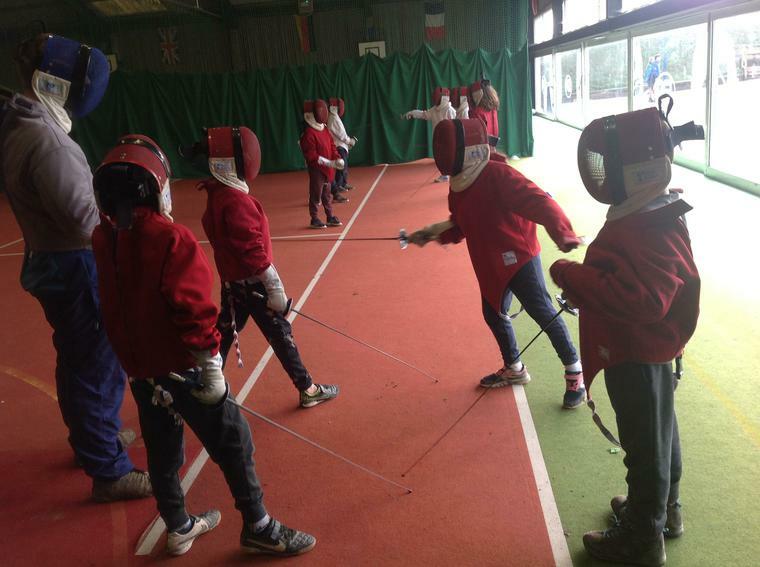 Our first activity of the afternoon was fencing where the children got all kitted out in jackets, masks and foils and were taught the correct poses, attacks and defenses. 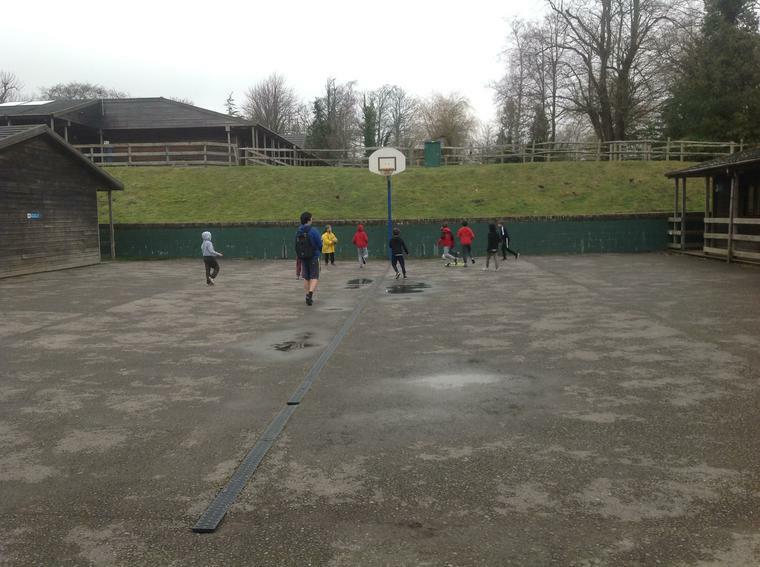 We then did a mini matches and a tournament. 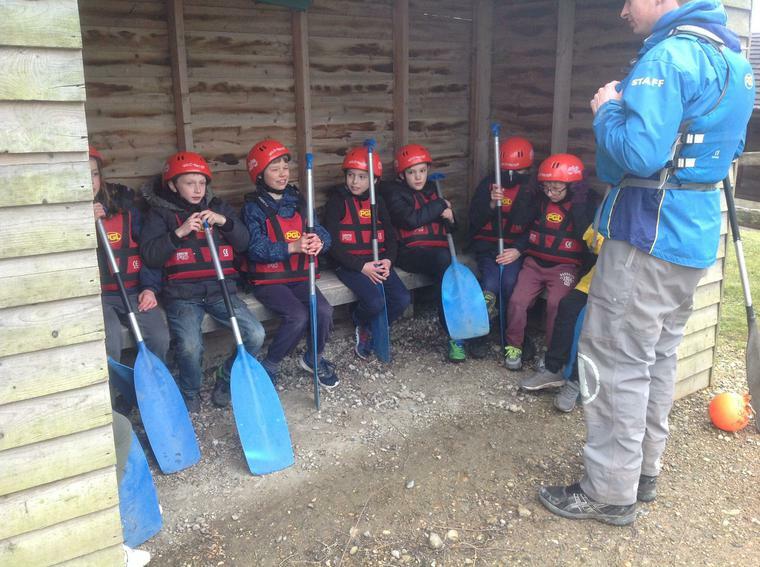 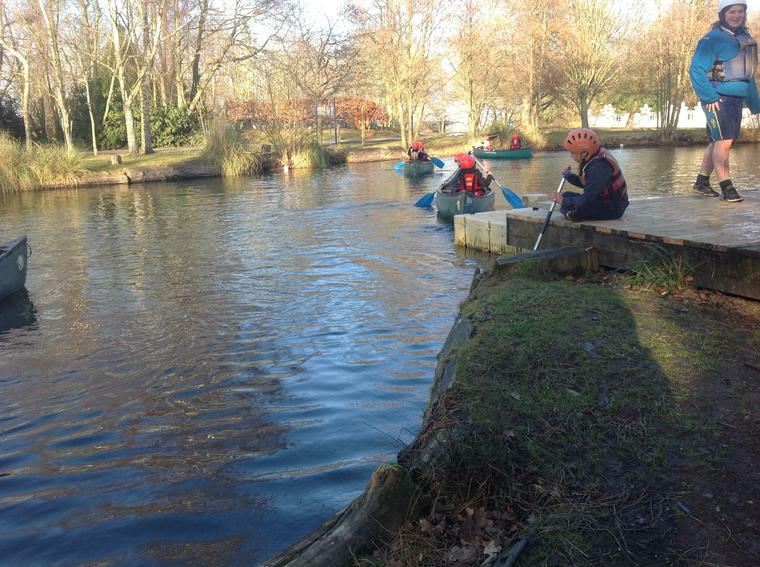 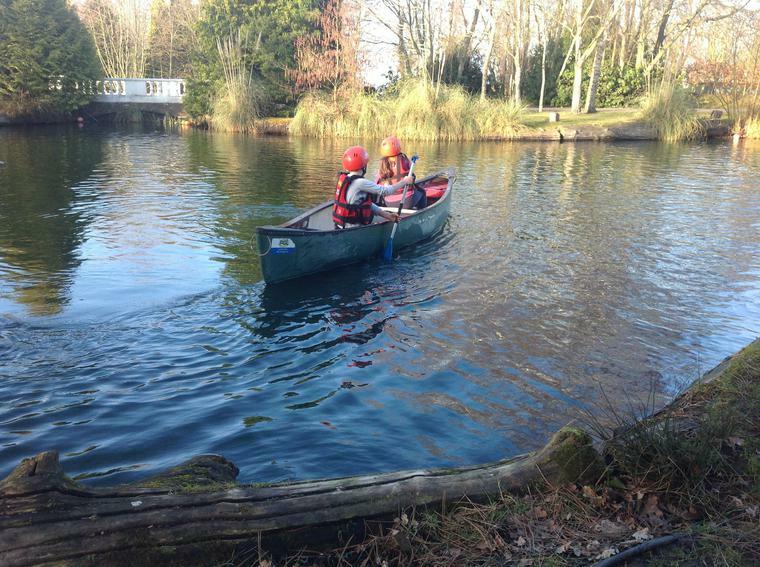 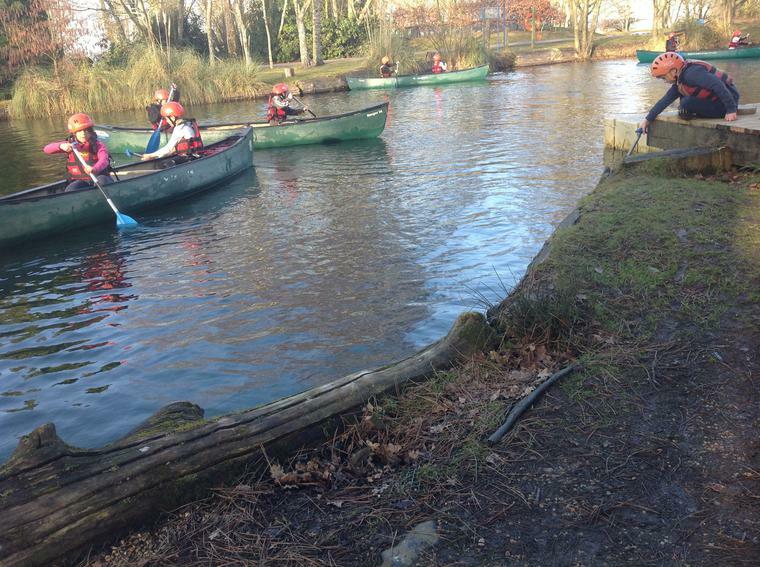 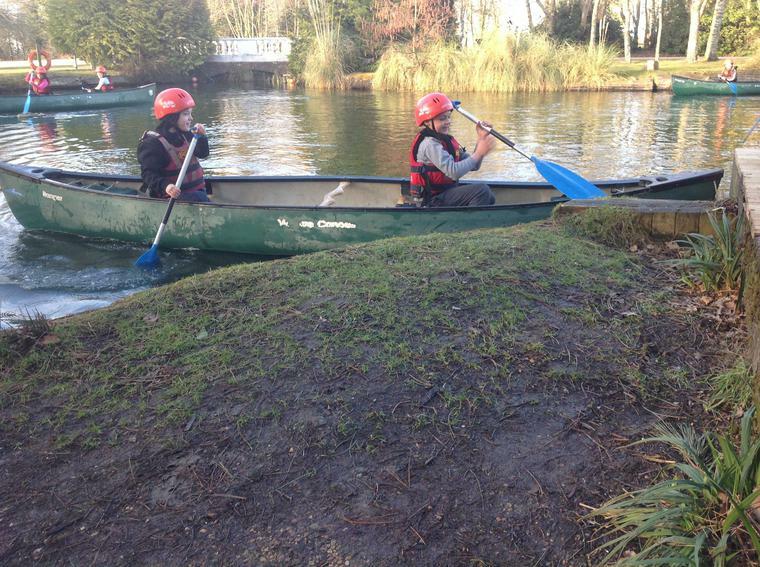 After fencing we finished the day with Canoeing. 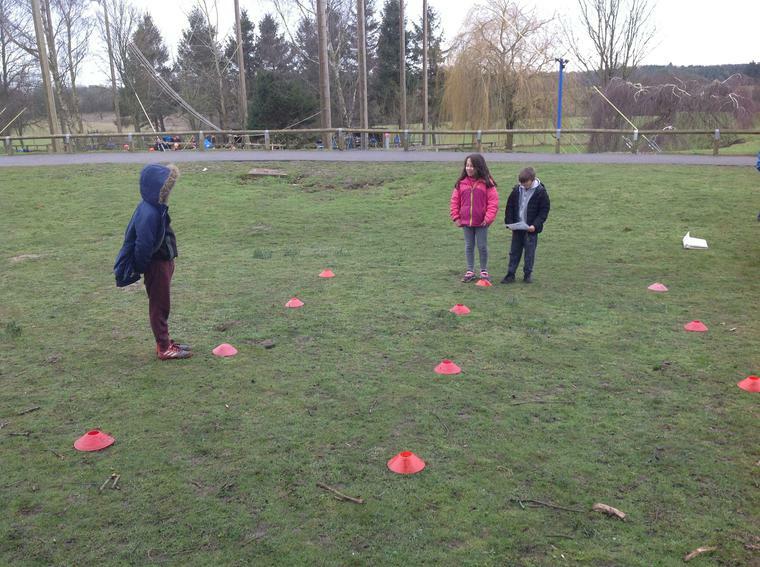 We began by playing a compass directions game to practice our turning as well as working on our communicating skills. 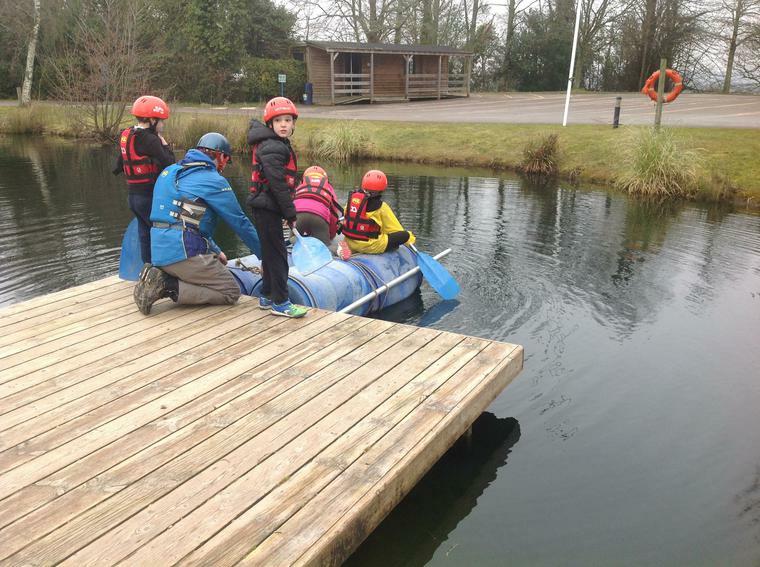 Next we played a game where we had to turn everyone into our thing, for example Luke and I started off as Portugal - so we had to tap their boats to turn them into Portugal. 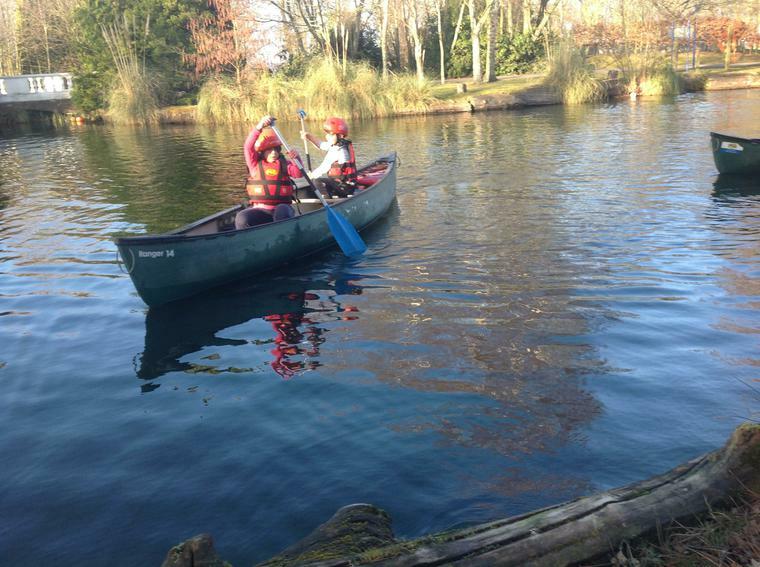 We finished up with a rubber ducky game, where we had to paddle around and fish out as many rubber ducks as possible. 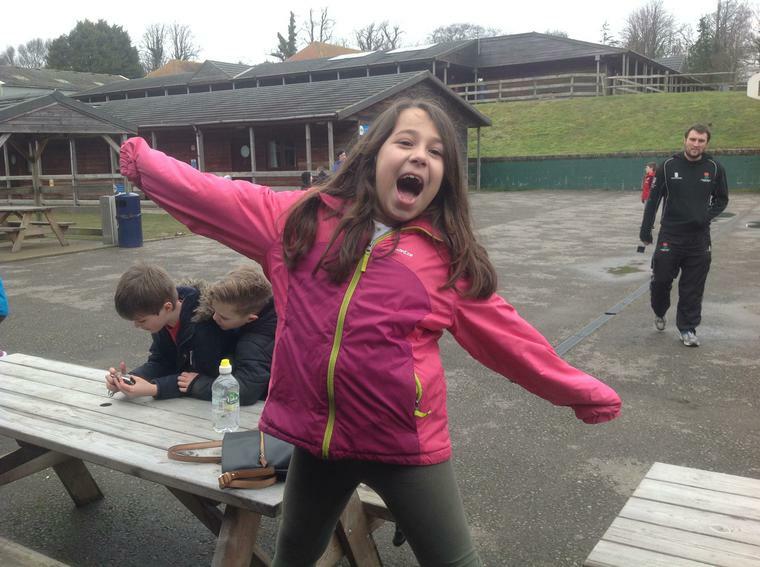 After dinner our evening entertainment was a disco. 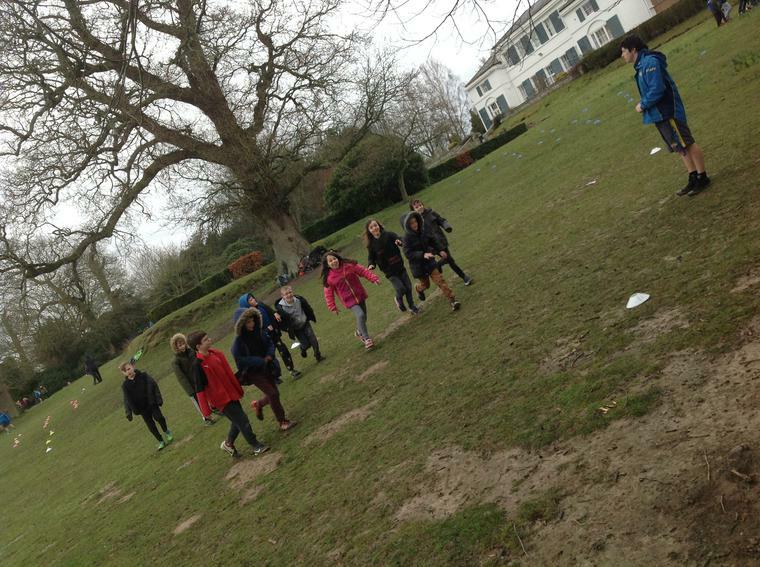 We had lots of great songs like the Cha Cha slide, Cotton Eye Joe and even Man Not Hot! 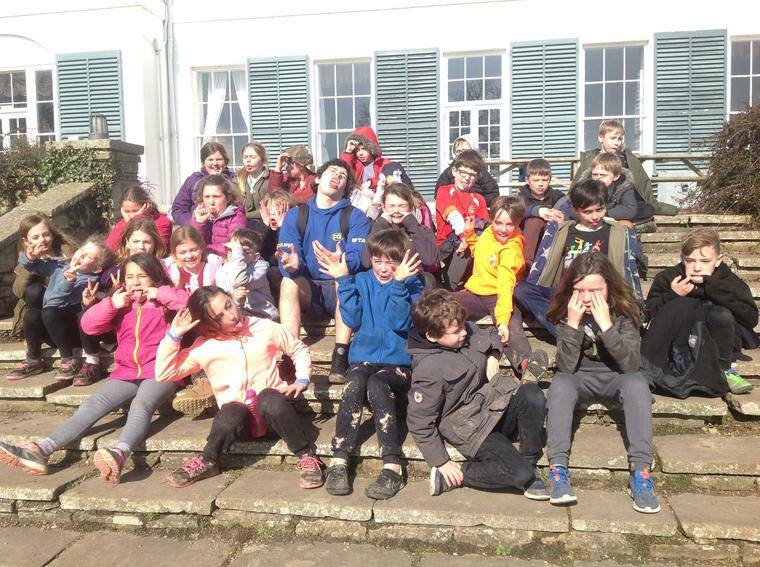 This was our final day at Windmill Hill. 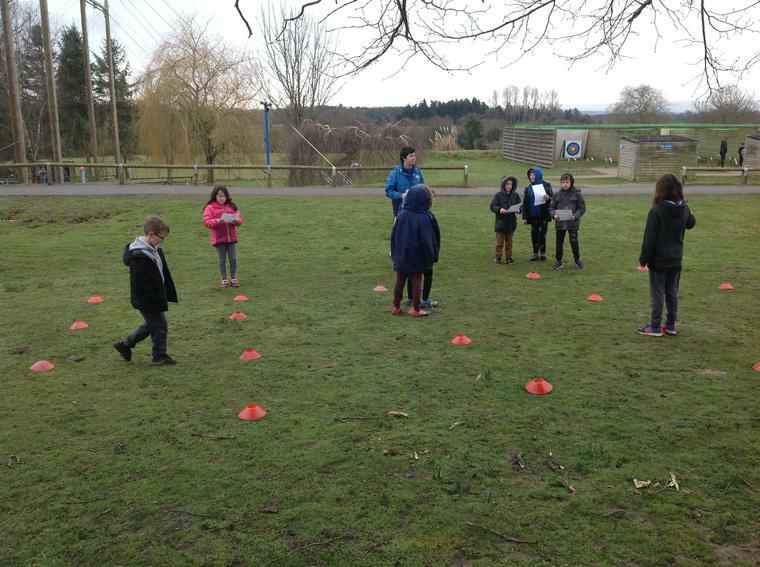 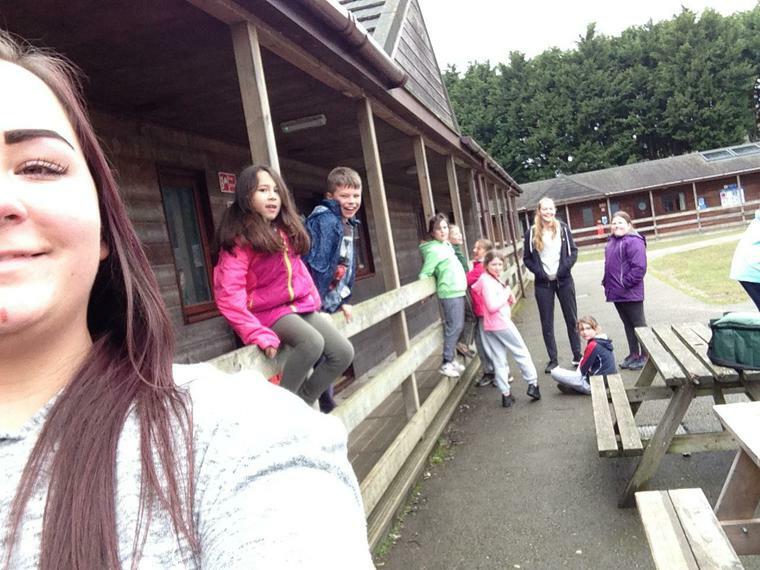 We started by going to breakfast, like normal, and then onto our first activity which was Orienteering. 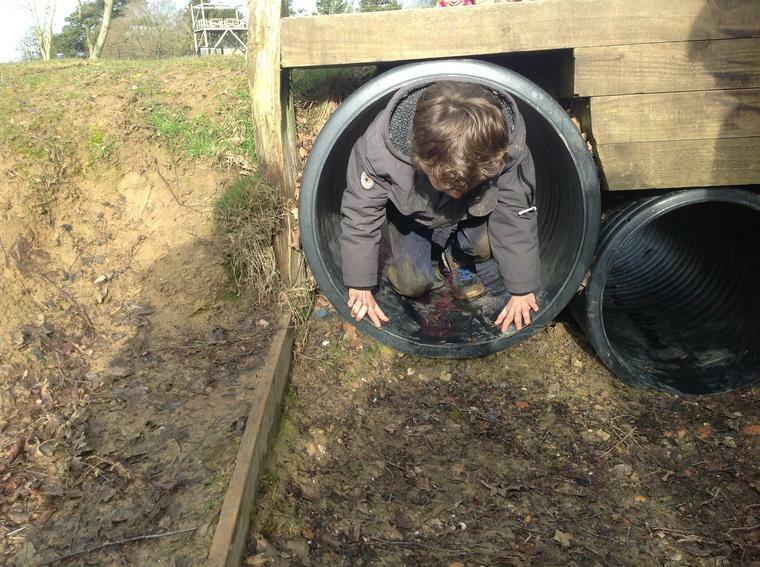 The children really enjoyed this activity, and all said it was better than they thought it was going to be! 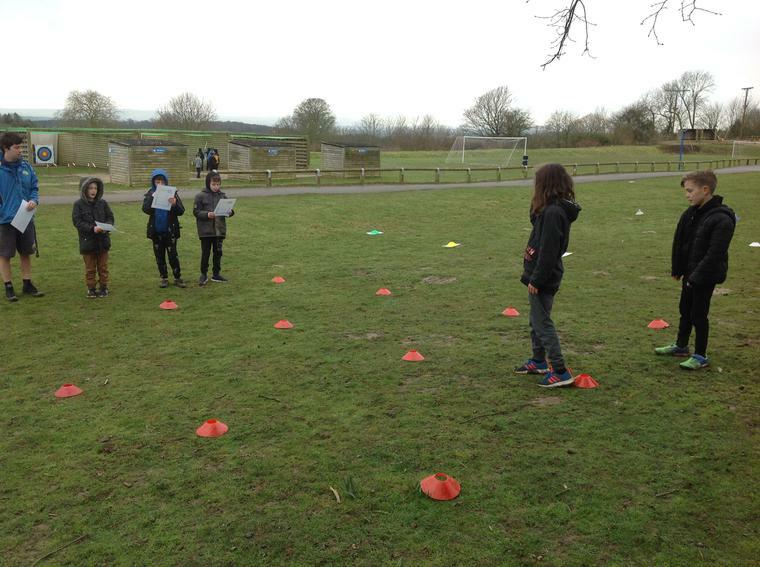 They were given different numbers to go and find around the site. 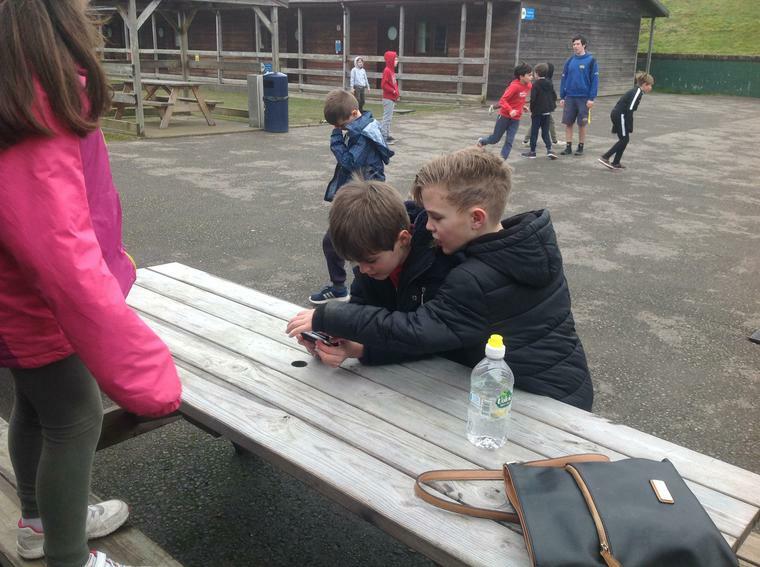 They had to use the map to locate them, and when they found it stamp their cards. 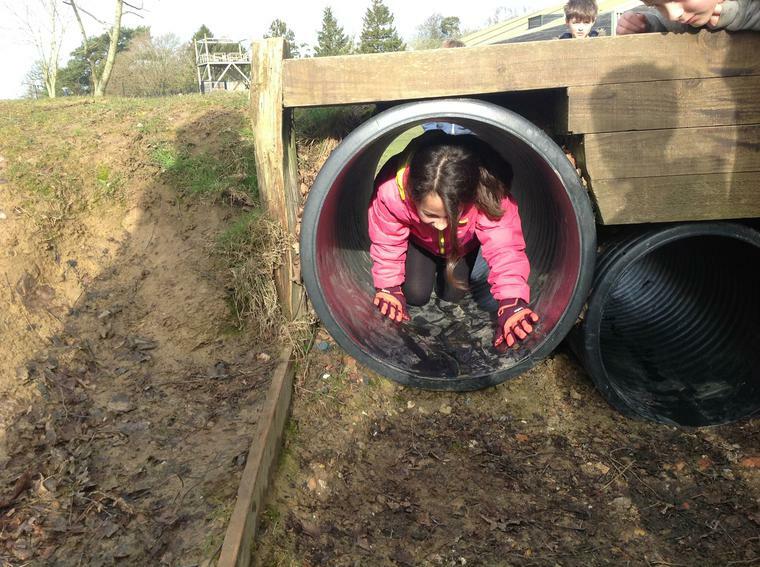 The children were so excited to get the stamps and running backwards and forwards like crazy! 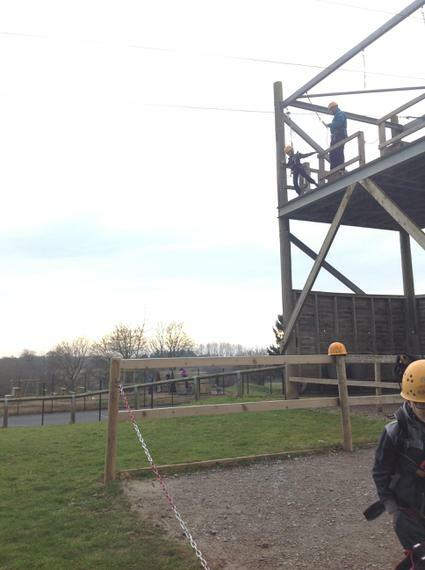 After Orienteering we moved onto our final activity; the Trapeze. 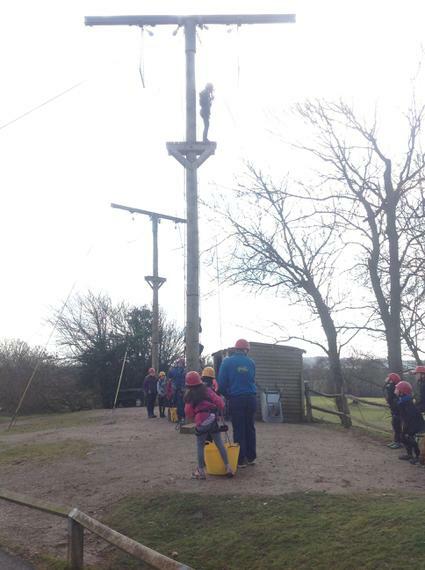 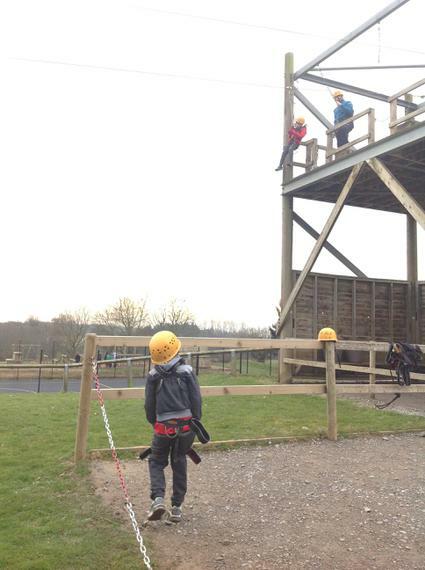 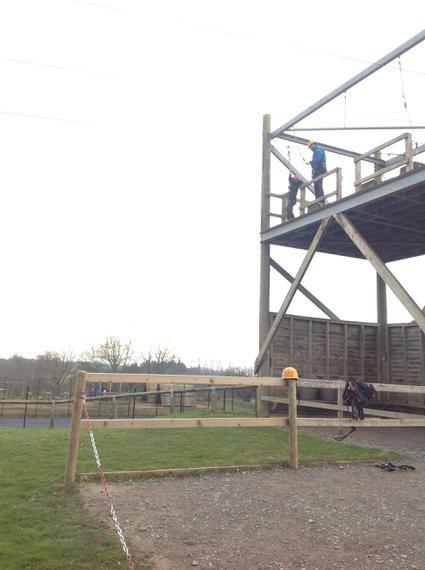 This involved the children getting kitted up one last time with a harness and helmet as they climbed up a very tall tower onto a ledge. 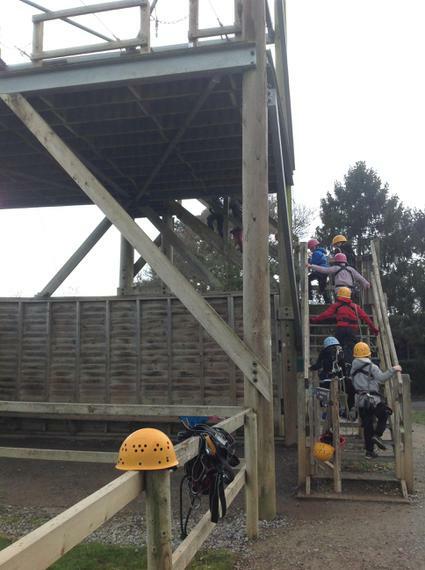 Once on the ledge the children to take a leap of faith and jump and grab onto the Trapeze bar. 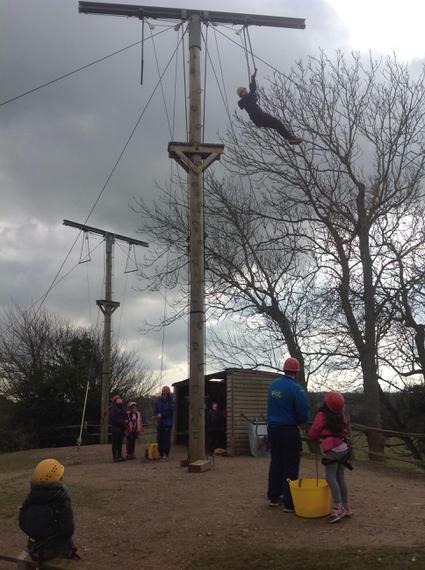 The children were ALL incredibly brave, they even managed to get Miss Bottle to have a go! 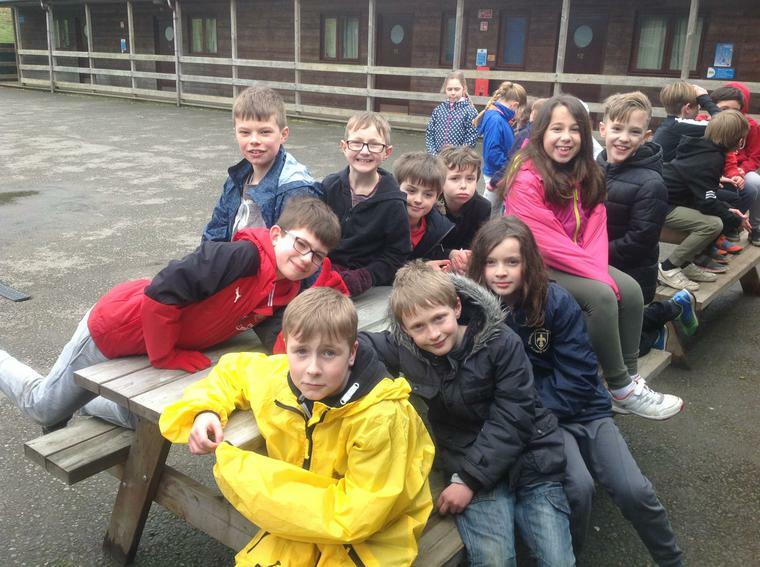 Everybody had a wonderful time and the children were very sad to be leaving, however I think they were very excited to be going home to see their families!